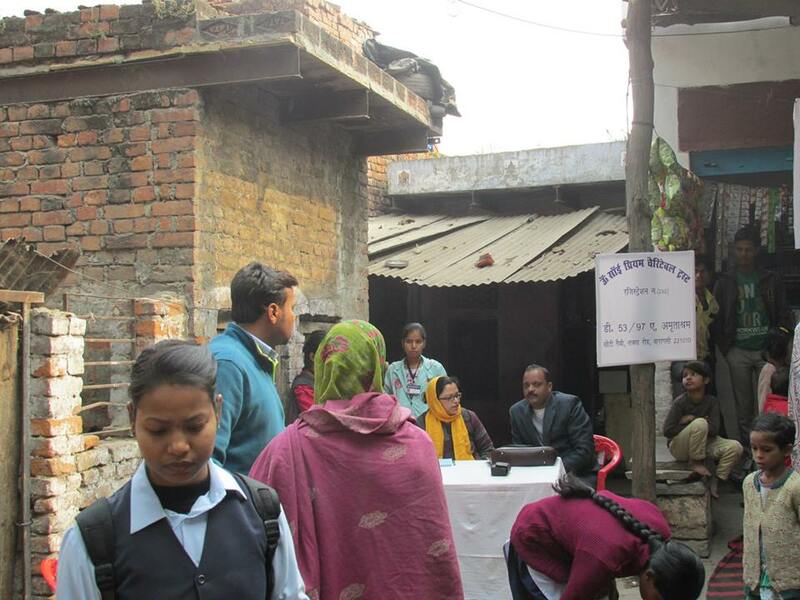 Dental and general health checkup camp was held in Garhiya Slum,Nadesar, Varanasi in collaboration with MGKVP Department of Social Work. 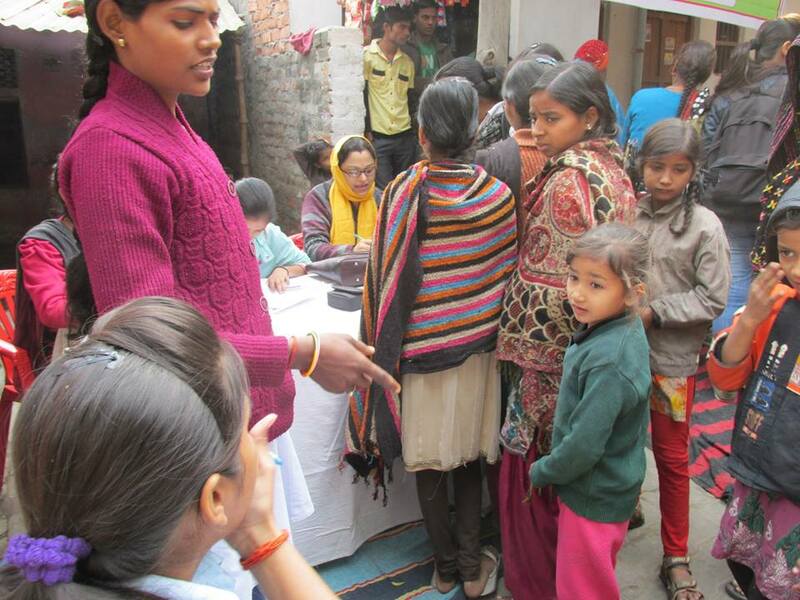 In this camp more than 100 people and kids were examined and it was found that most of them were suffering from chelated teeth due to high fluoride content of water, pyorrhoea due to bad oral hygiene and nursing bottle feeding caries. 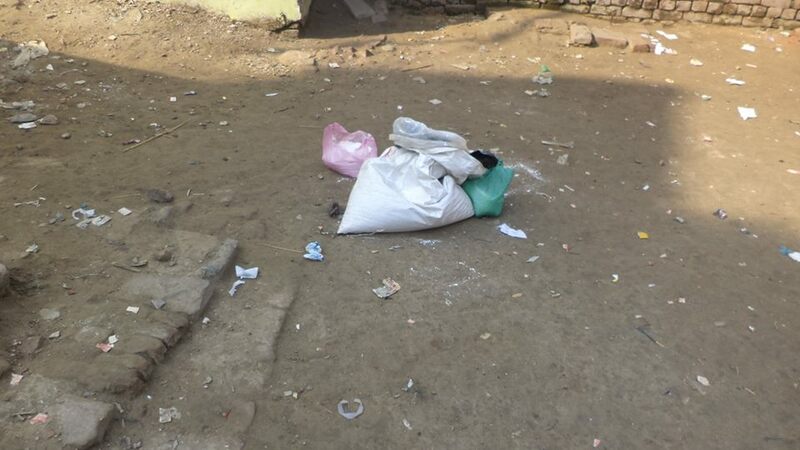 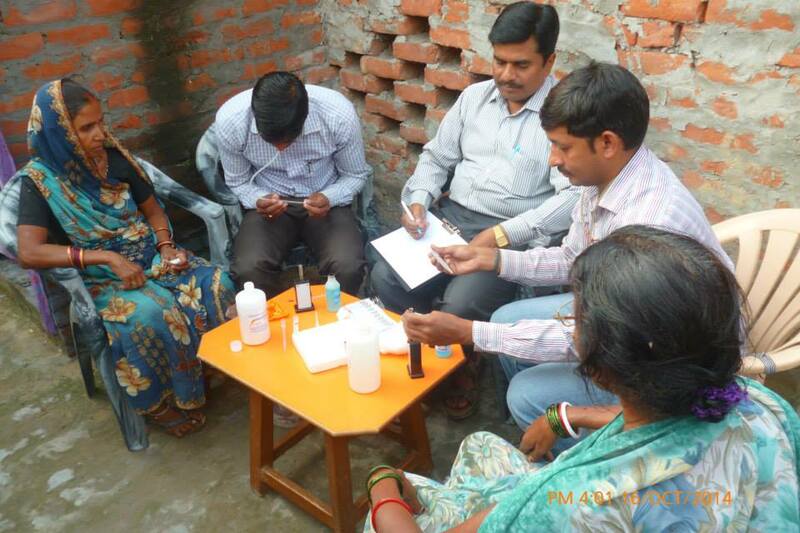 Other general problems were like skin infection, worm infestation, anaemia and calcium deficiency. 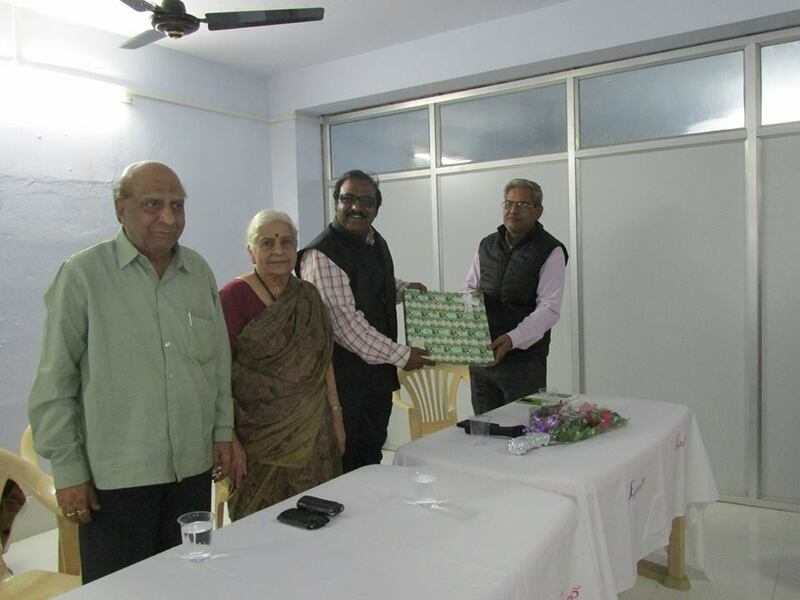 Our special thanks to HOD Dr.A.N.Singh, Dr.K.K.Singh, Dr.Chandrashekhar Singh and students of social work department for their enthusiastic effort. 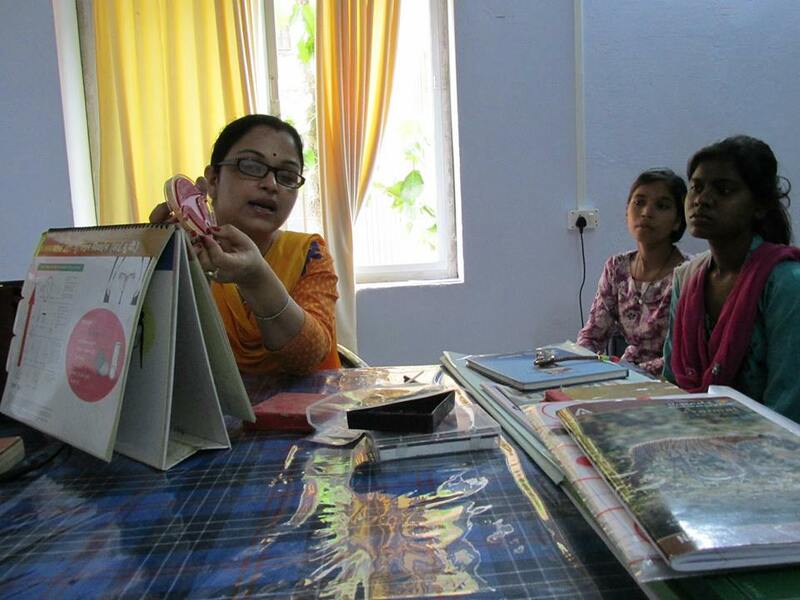 It wouldn't have been possible without them. 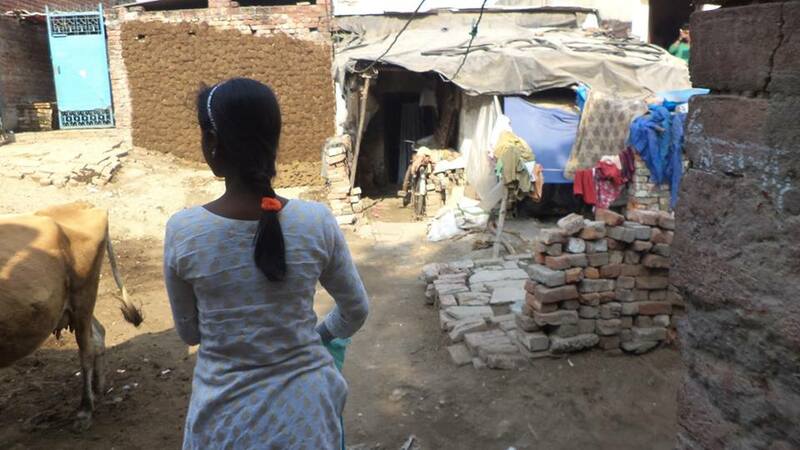 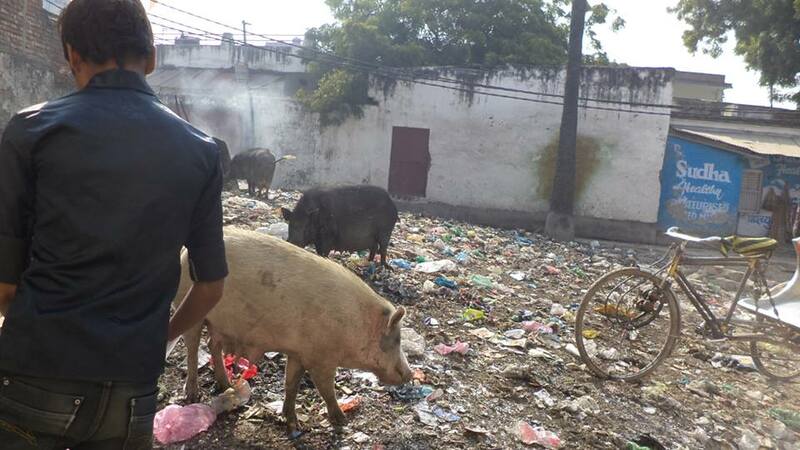 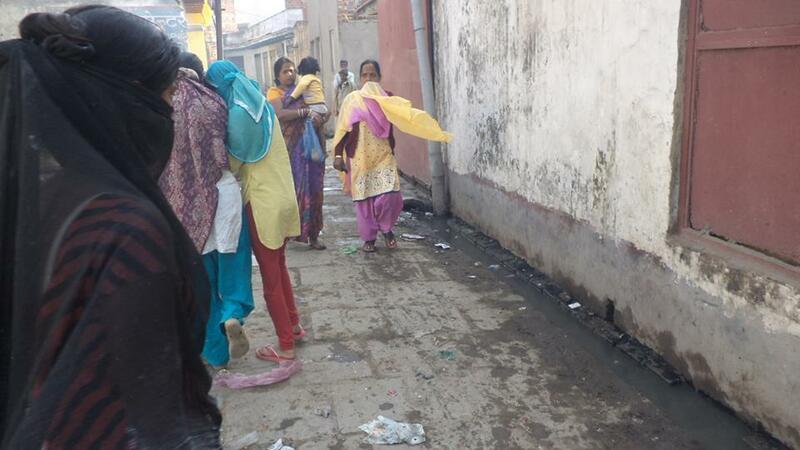 Routine disinfection of JP Nagar was done by our volunteer girls. 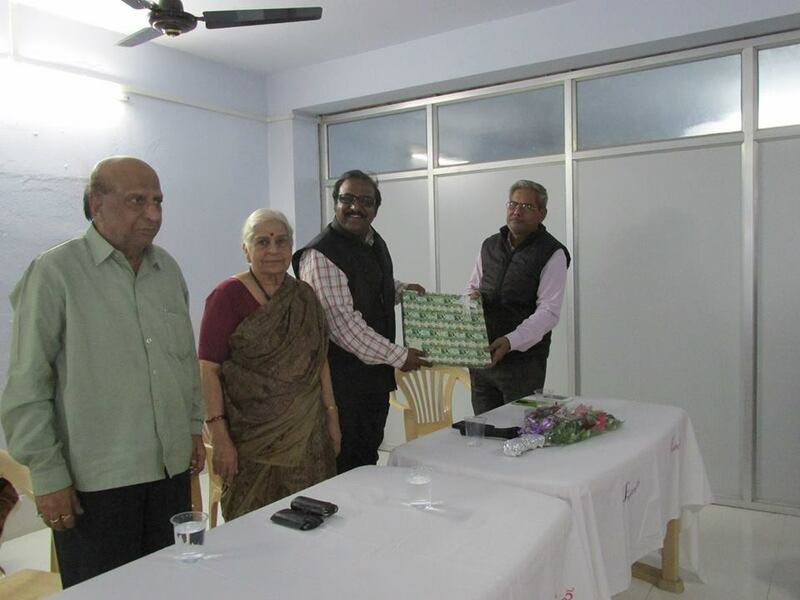 It was an honour for us to have Dr.Sanjay Gupta Sir Prof. and HOD Psychiatry Dept. 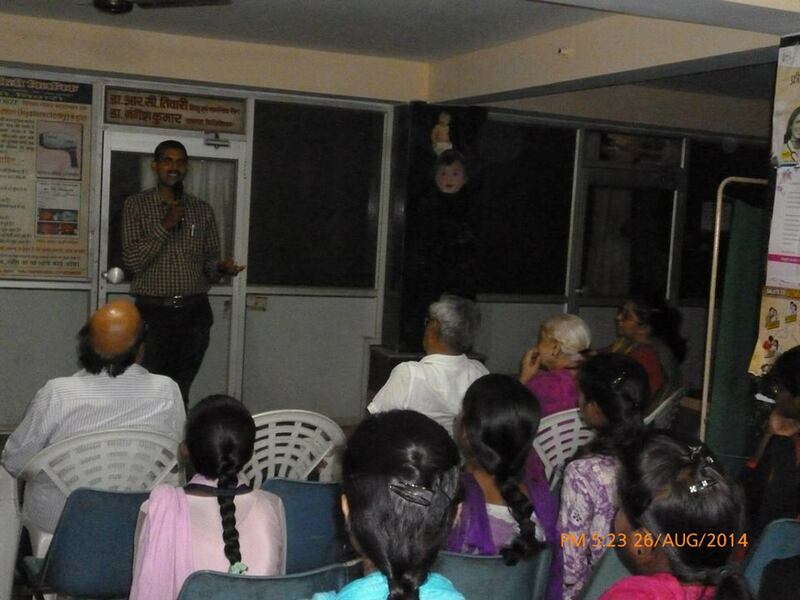 IMS, BHU, with us who gave a lecture on how to live a stress free life and interacted with us on our day to day problems.Dr.Sanjay Gupta sir is running a program name " Khushaali Ek Prayas " in which they have provided a help line over which any one who is feeling depressed or is under stress can call and share their problems. 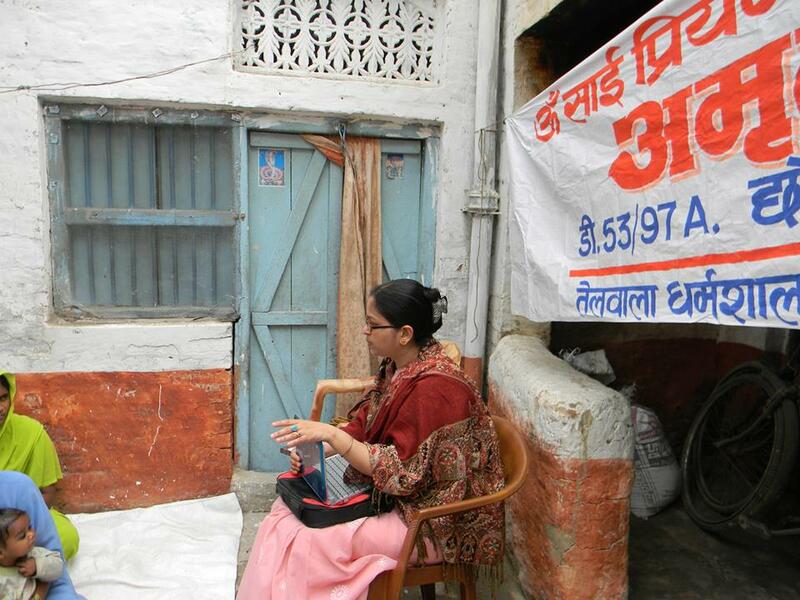 They provide solution for your problems. 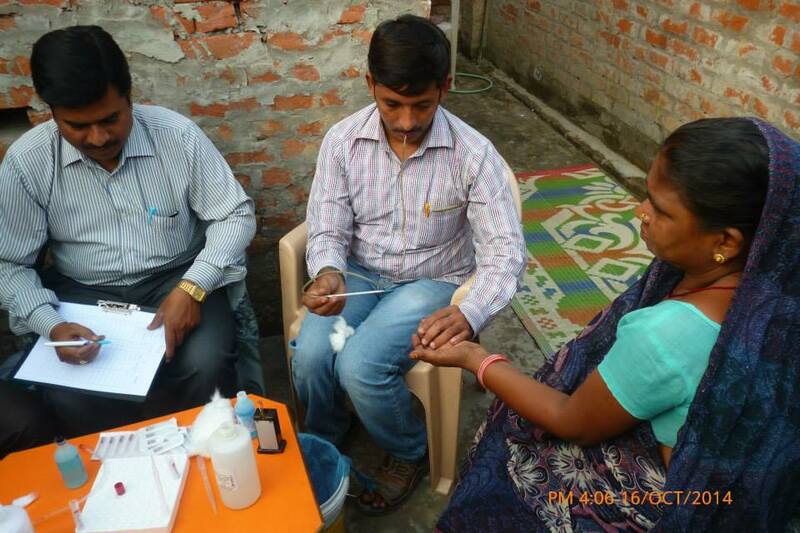 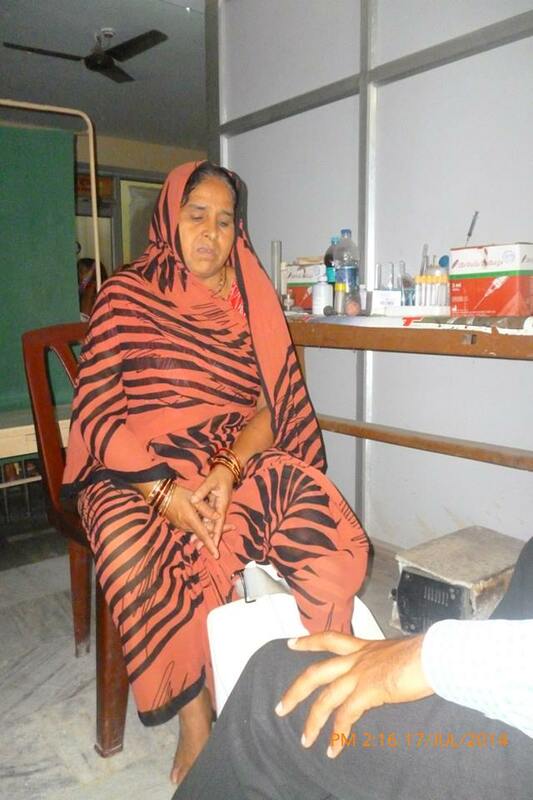 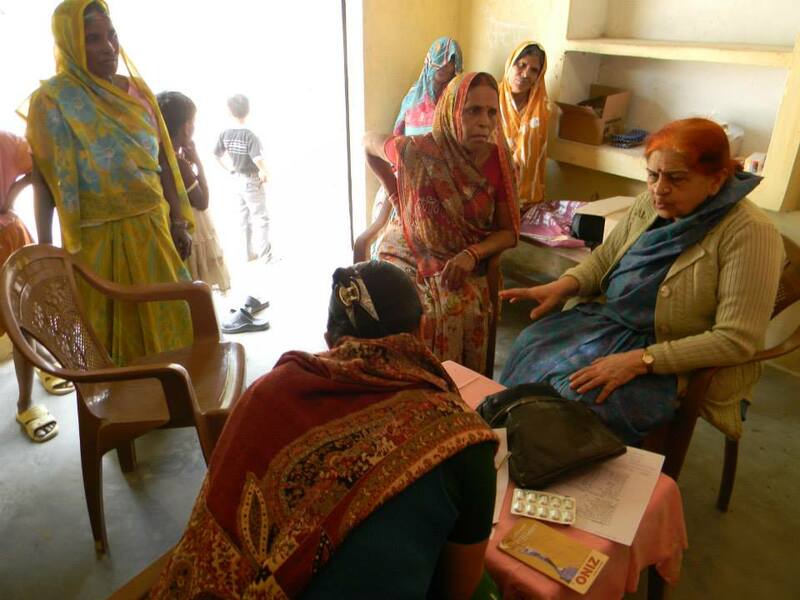 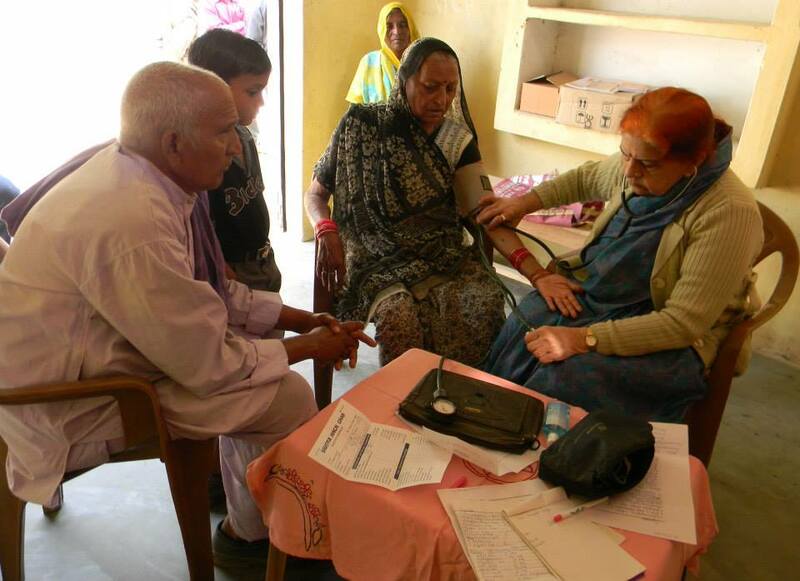 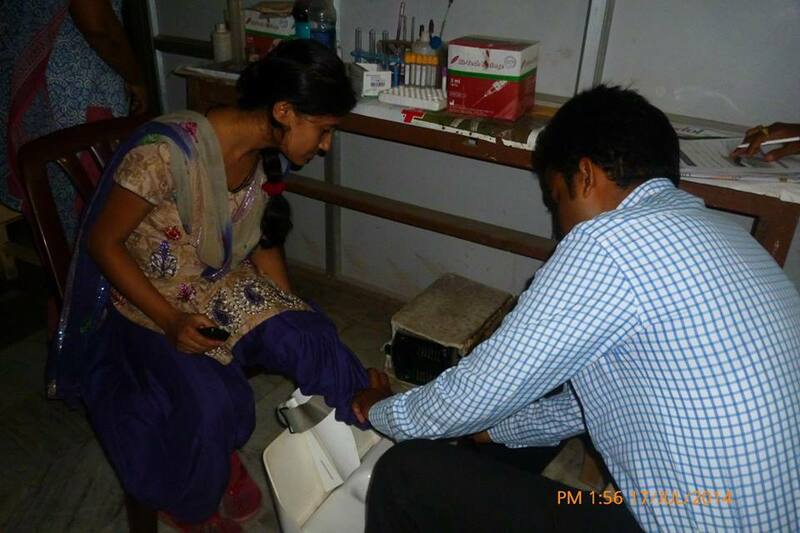 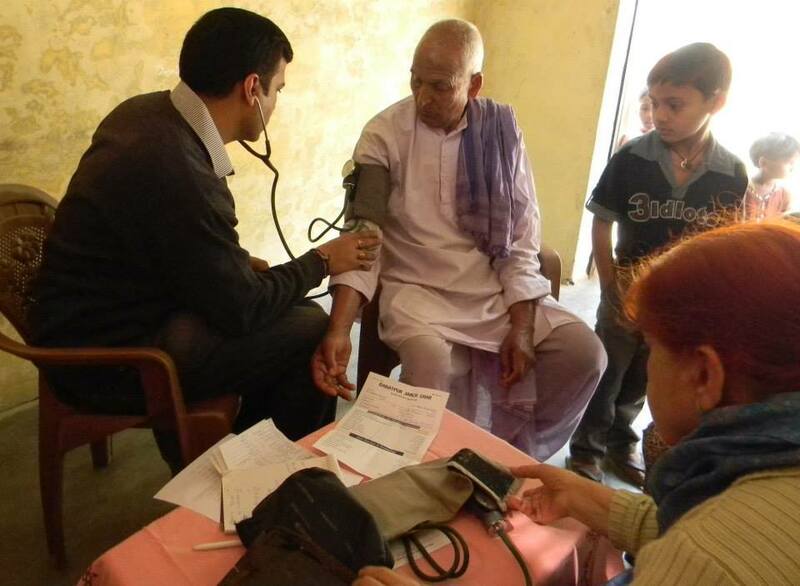 Haemoglobin estimation camp was held in Chittupur,Varanasi in which 50% were found anaemic. 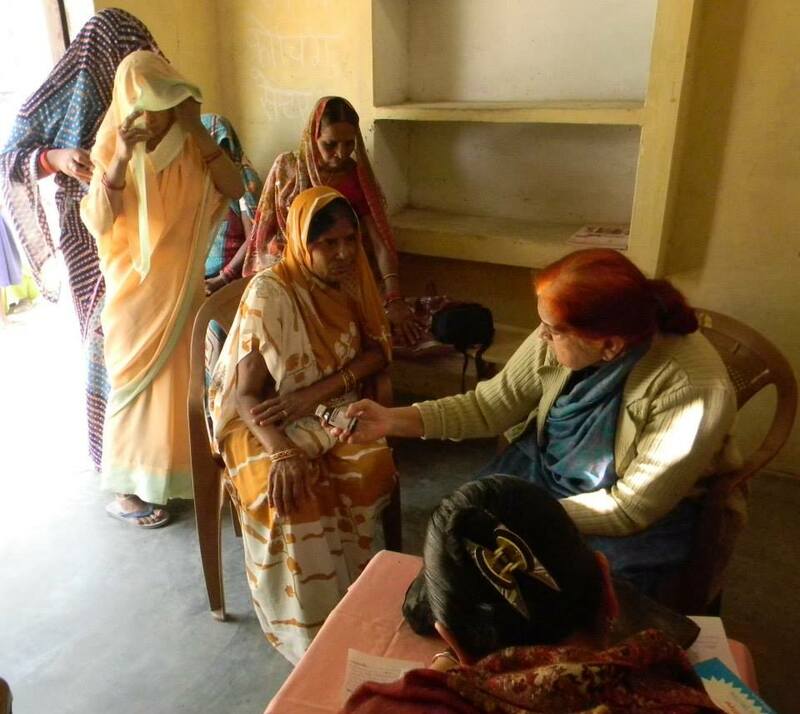 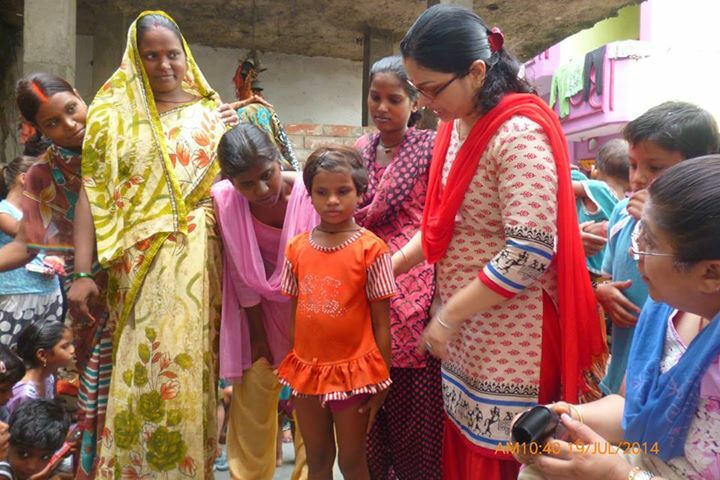 A talk and awareness program was conducted by Dr.Shweta Tiwari in Baulia slum.The ladies of the slum were made aware of sign and symptoms of calcium deficiency,anemia and various cervical lesions.They were examined for such pathology and basic medication was provided. 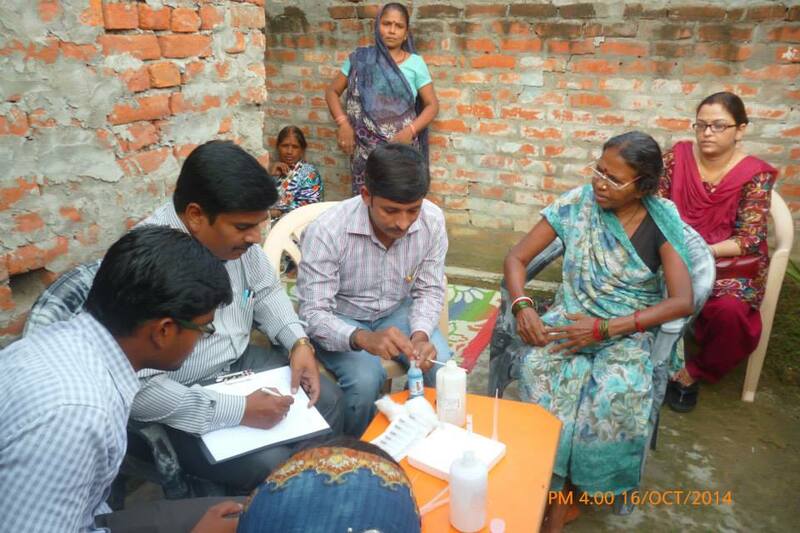 Bone mass density test was arranged for slum dwellers to know the level of calcium deficiency in slum dwellers at trust office. 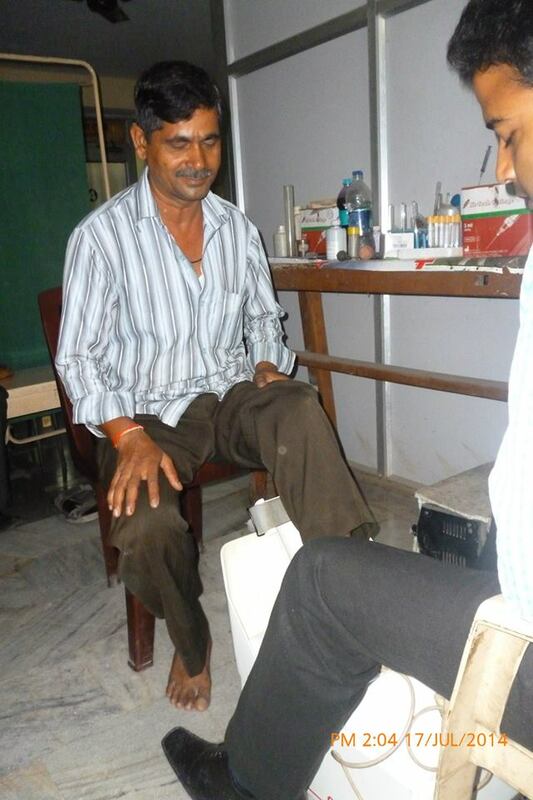 Amongst all 80% of them were found to osteopenic and 20% osteoporotic. 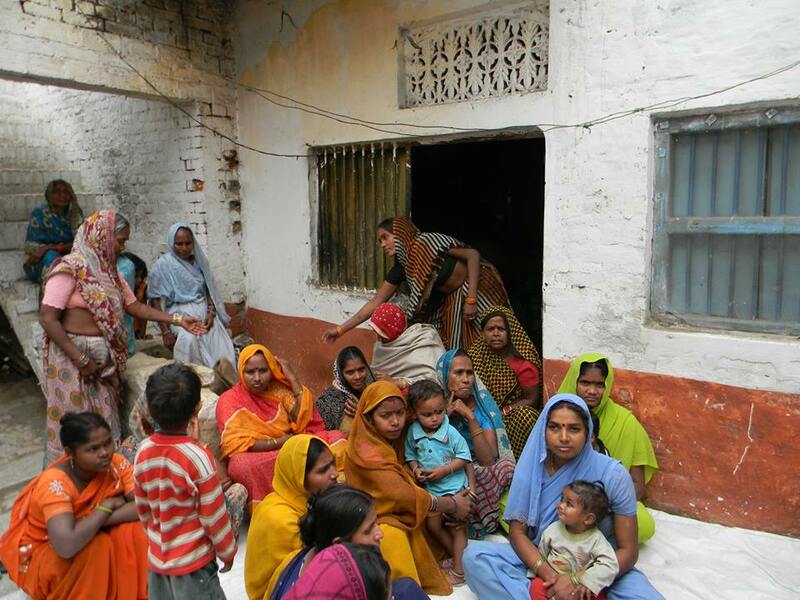 Not a single person was found to be normal. 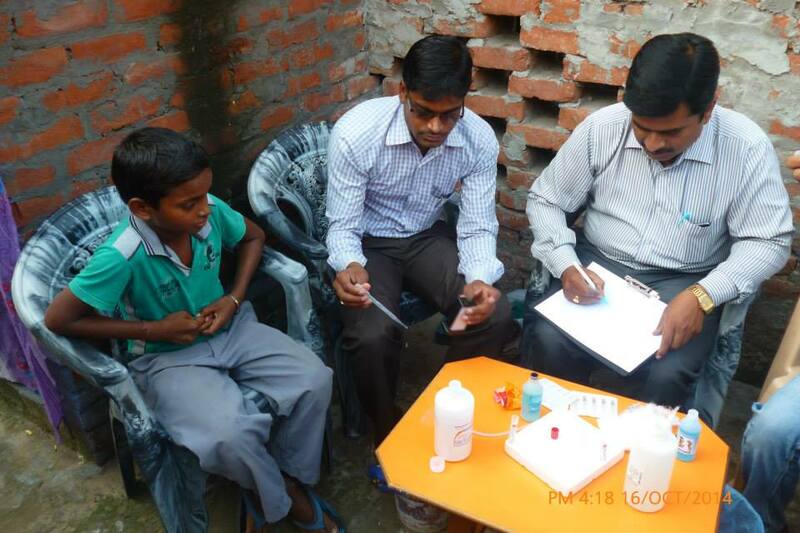 After the test calcium with Vitamin D was given and they were also told about rich sources of calcium and vitamin D - natural and low cost. 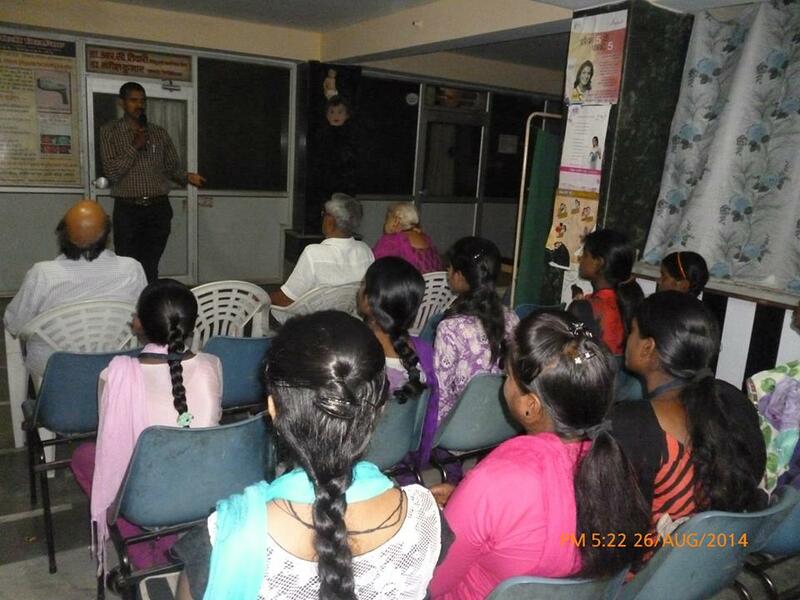 A session on Scabies - infestation by itch mite and Pediculosis - infestation by lice was taken by Dr. Mangesh Kumar for our volunteer girls and other slum dwellers. 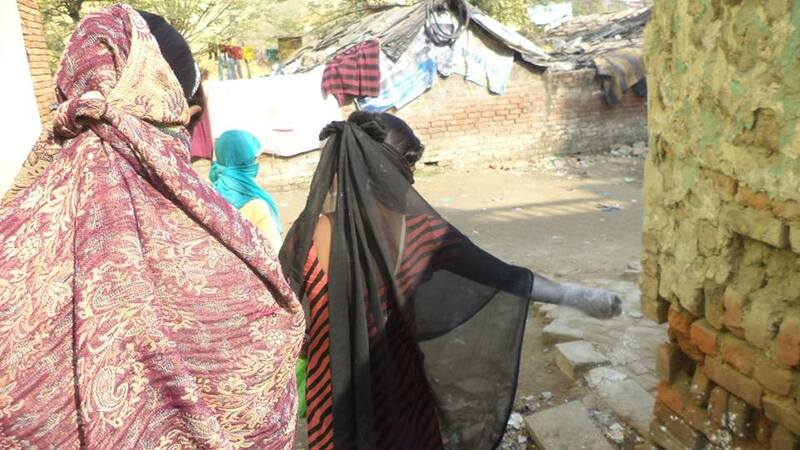 They were made aware how to identify when a person is infested, what should be done to stop the spread and what precautions should be taken. 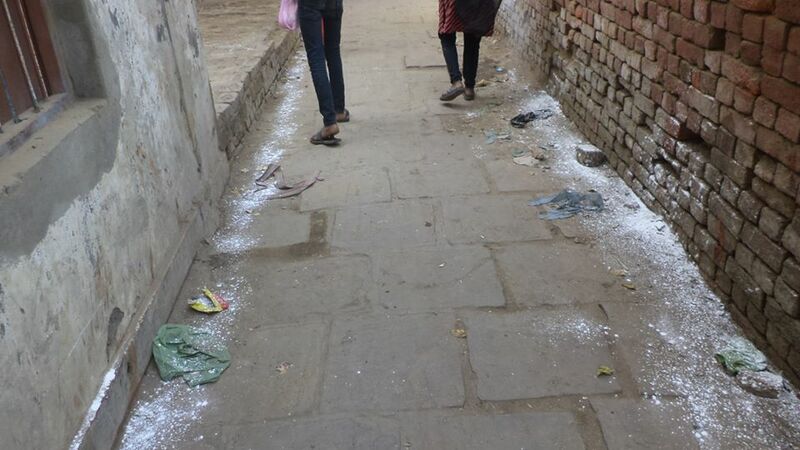 They were also told about the complications of this infestation. 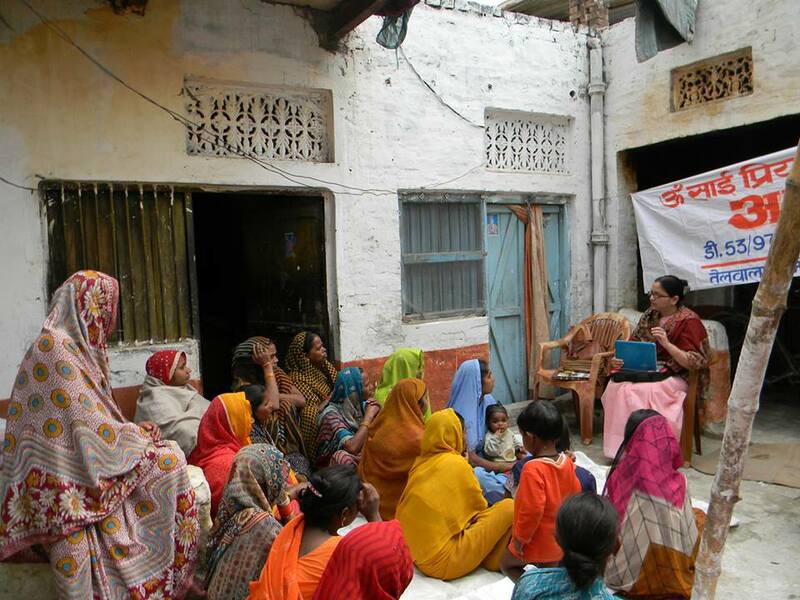 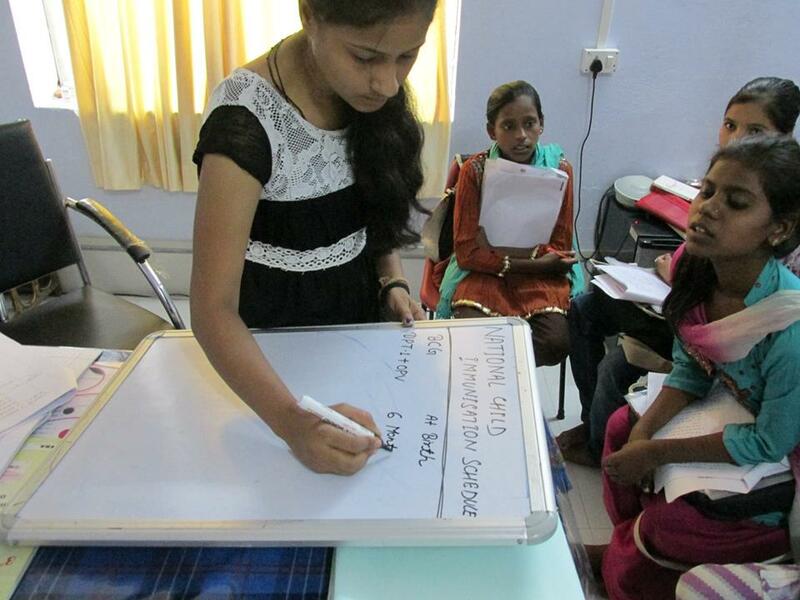 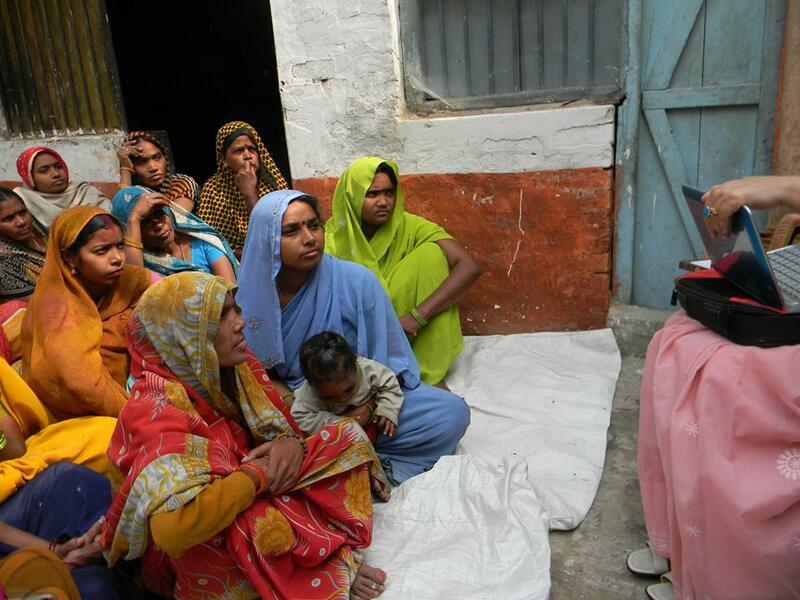 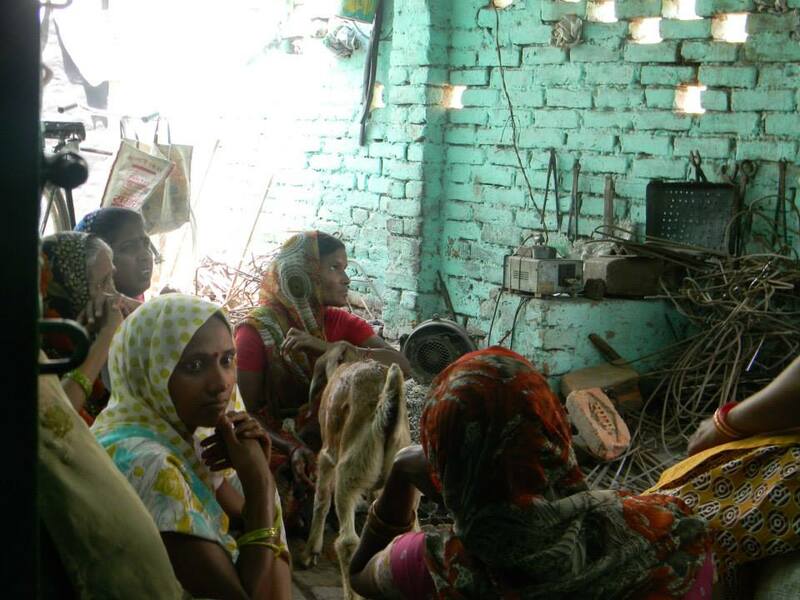 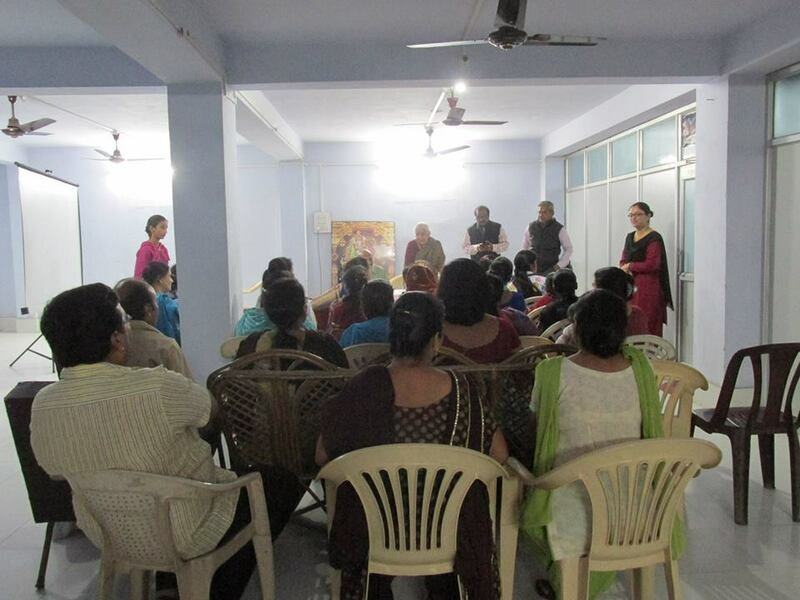 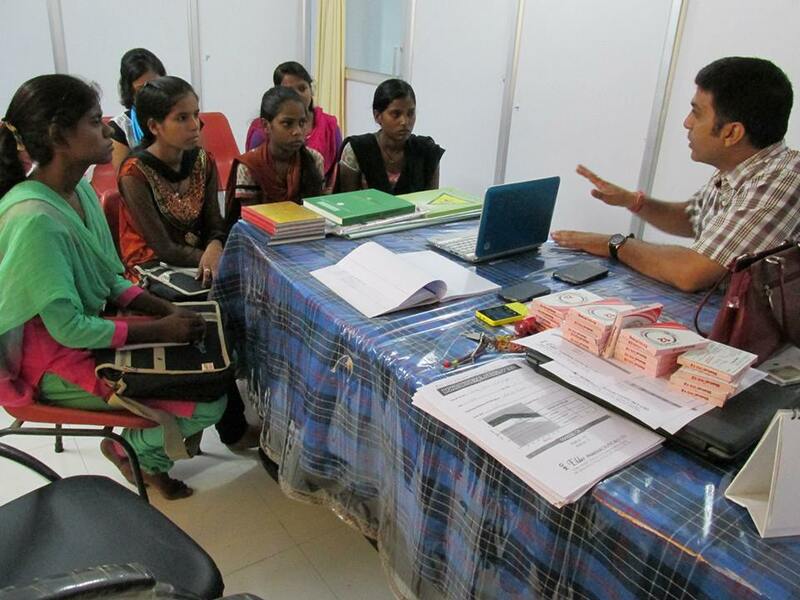 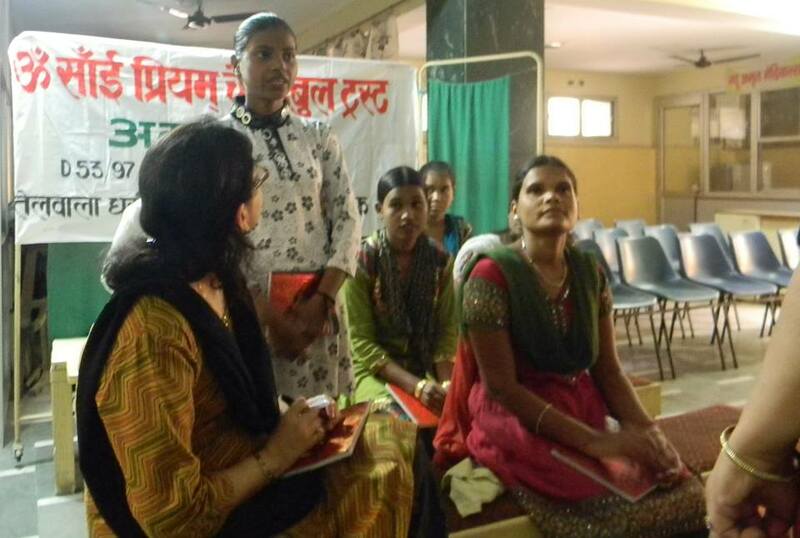 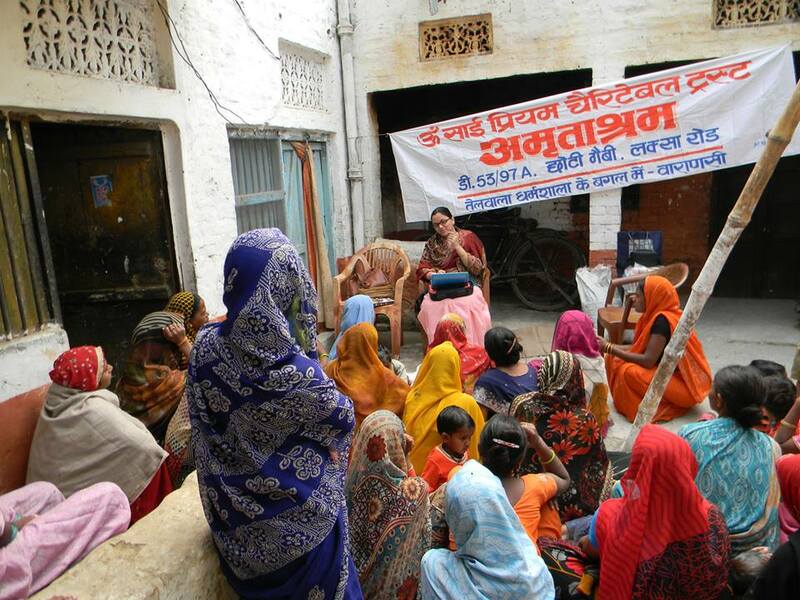 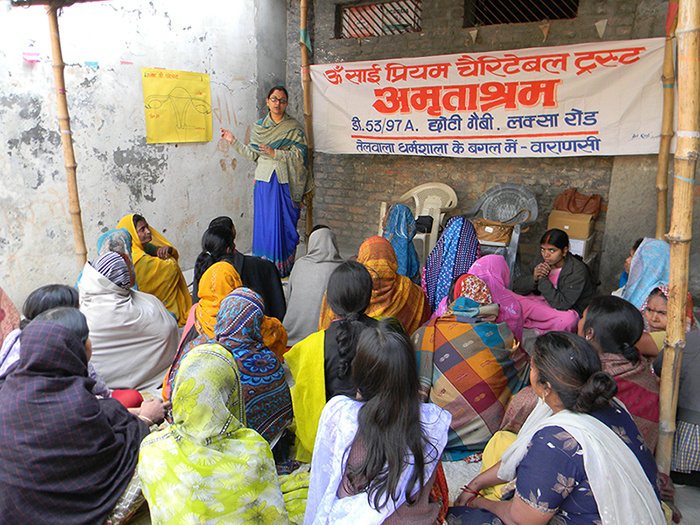 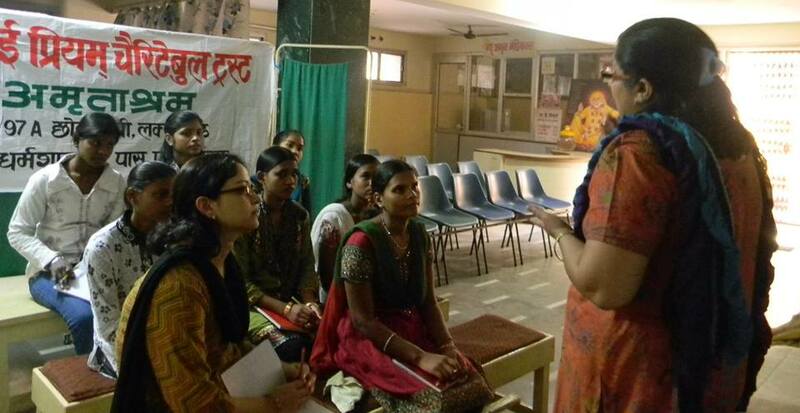 A class on family planning was taken by Dr. Shweta Tiwari for slum women. 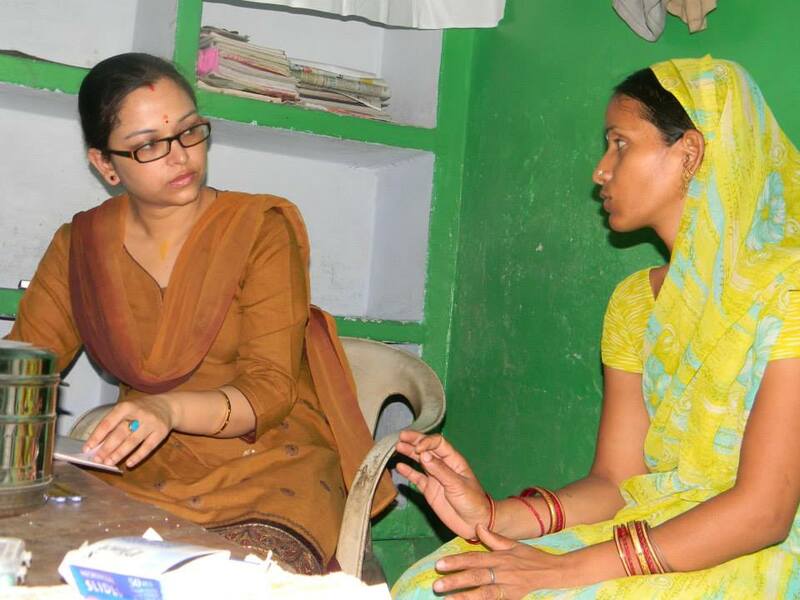 They were told about various methods of family planning, how one can improve their socioeconomic status by planning their family. 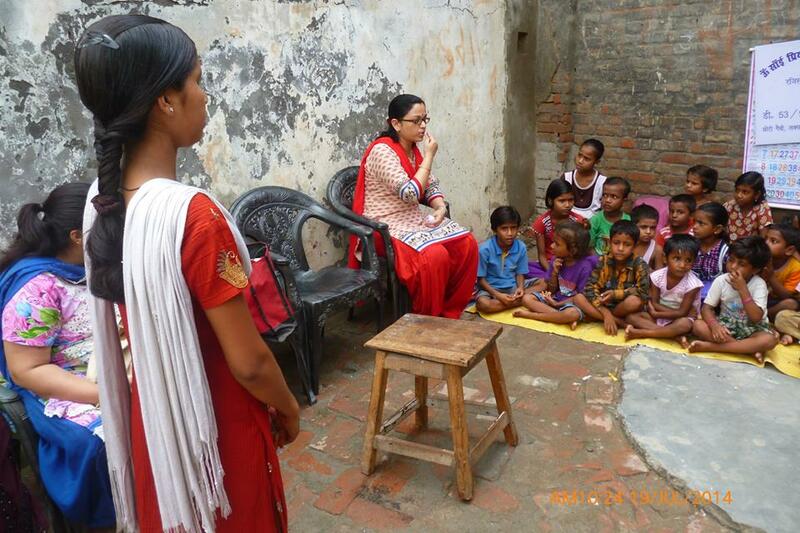 They were educated on which method will be suitable for whom. 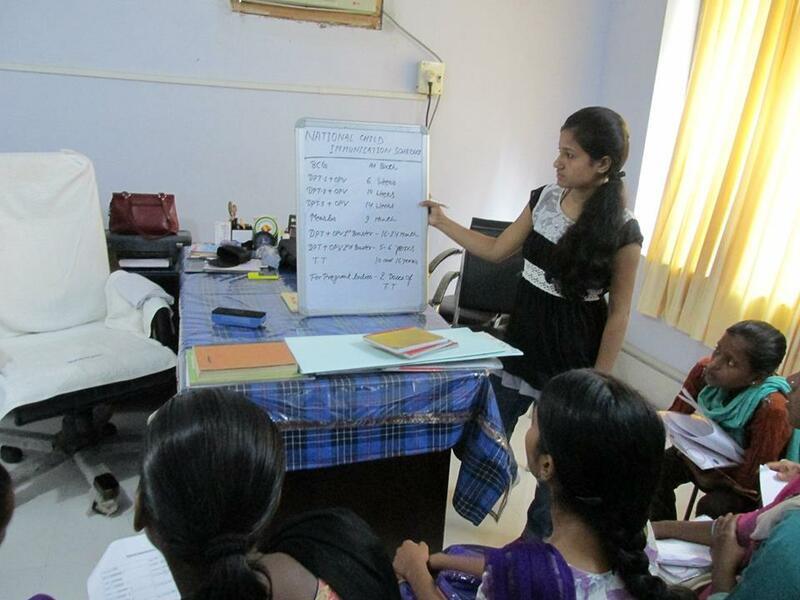 They were told about the effects and side effects of methods and how to manage if anything goes wrong. 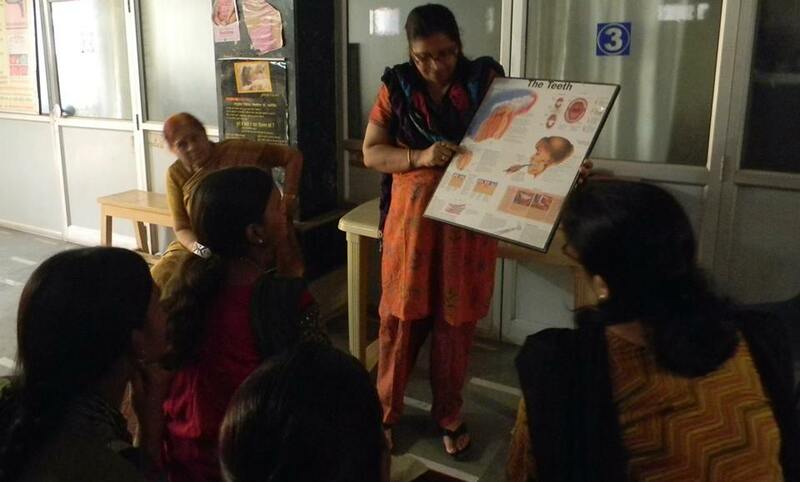 A session on how to maintain good oral hygiene and how to take care of our teeth's was taken by Dr.Jaya Rai. 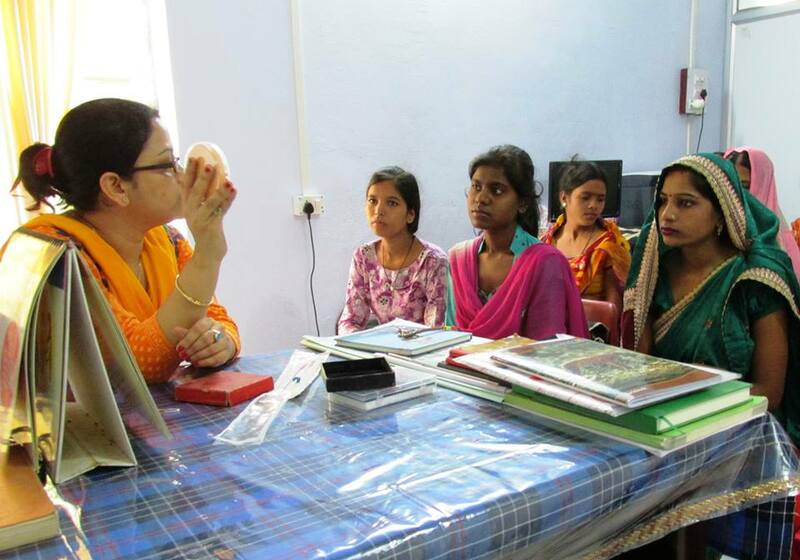 At the end of session girls were asked questions.Distribution of tooth paste and tooth brush was done. 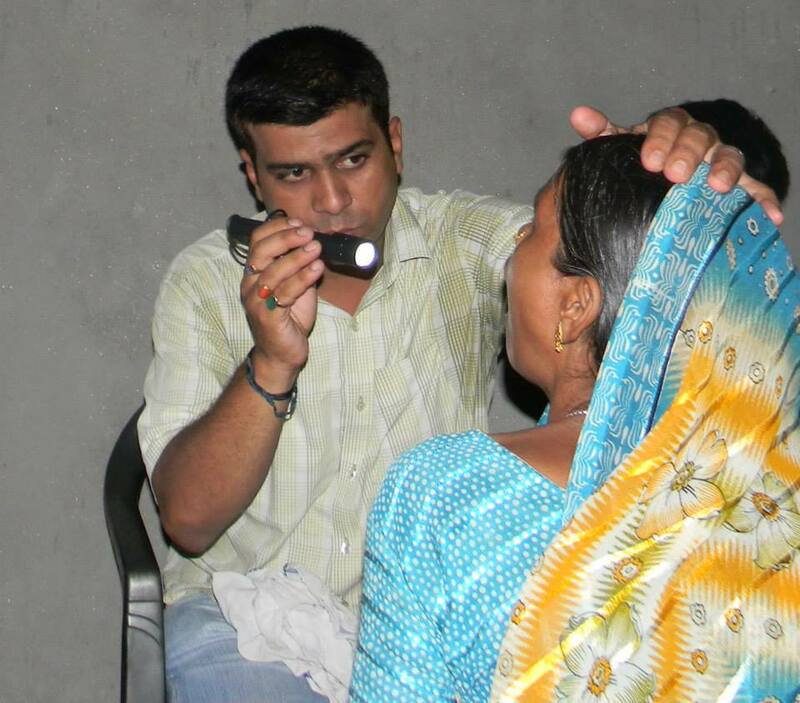 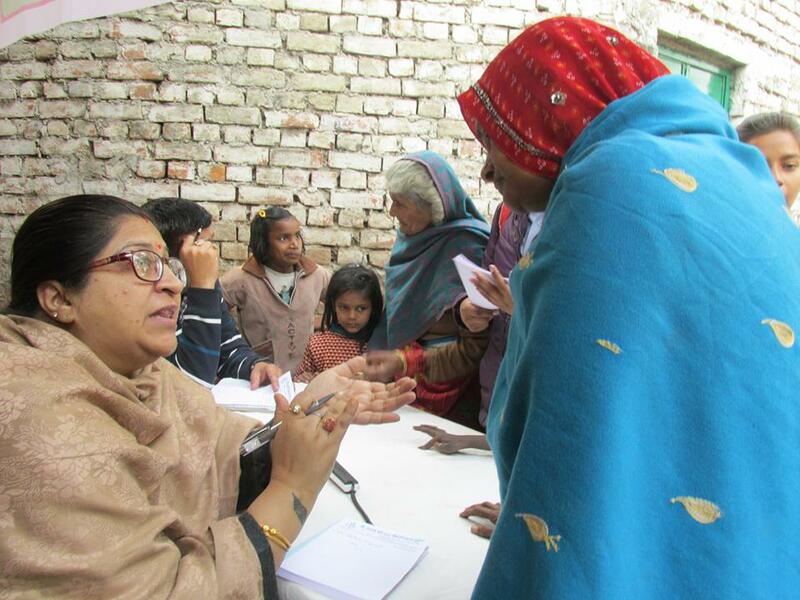 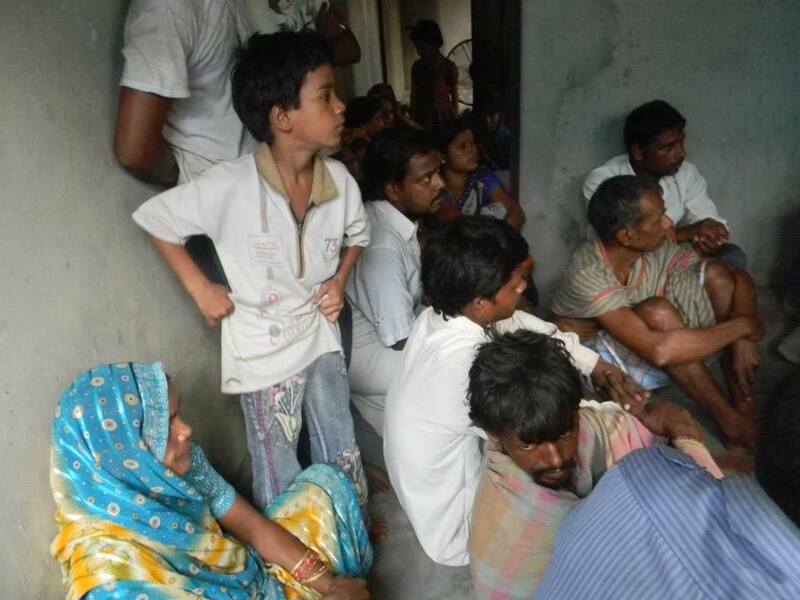 The slum dwellers were screened for various oral lesions in the slum. 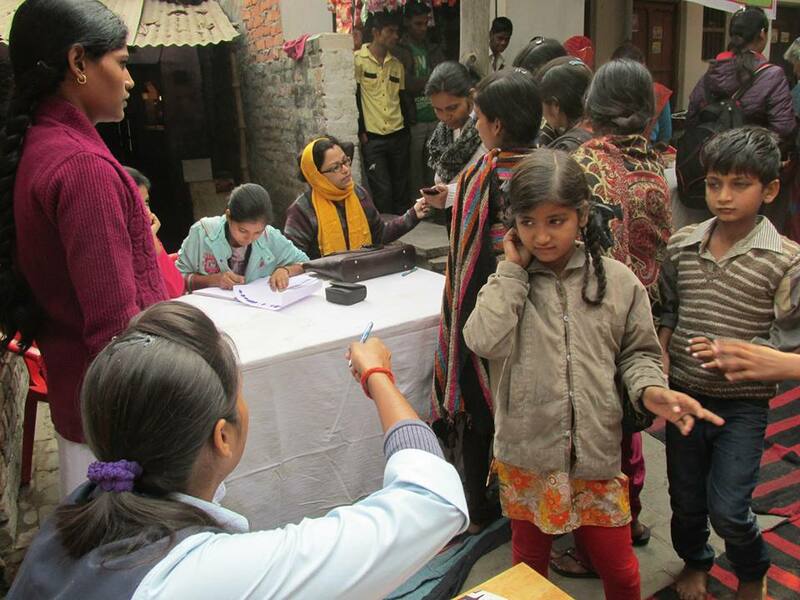 They were also made aware about primary oral lesions and there sign & symptoms. 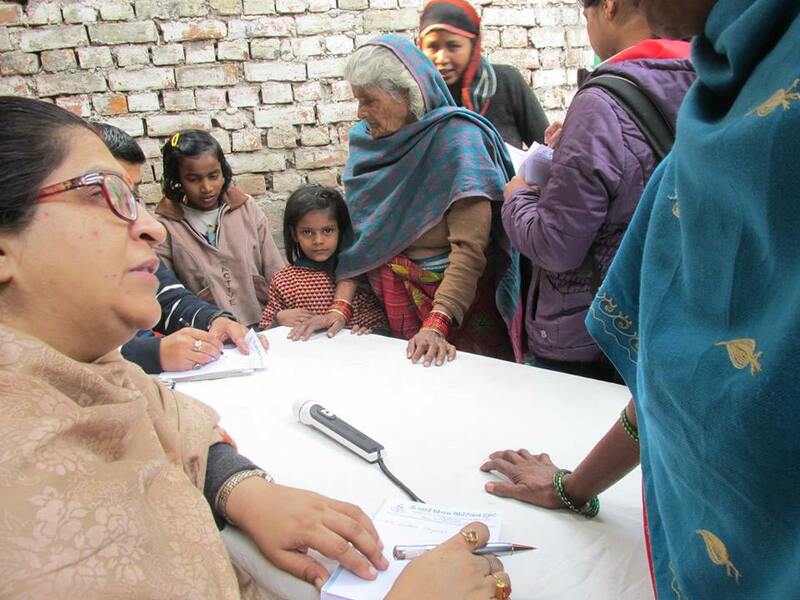 General health checkup was done in Belwa village,Araji Line and treatment was given.Compulsory deworming of each one was done.Importance of regular deworming was explained. 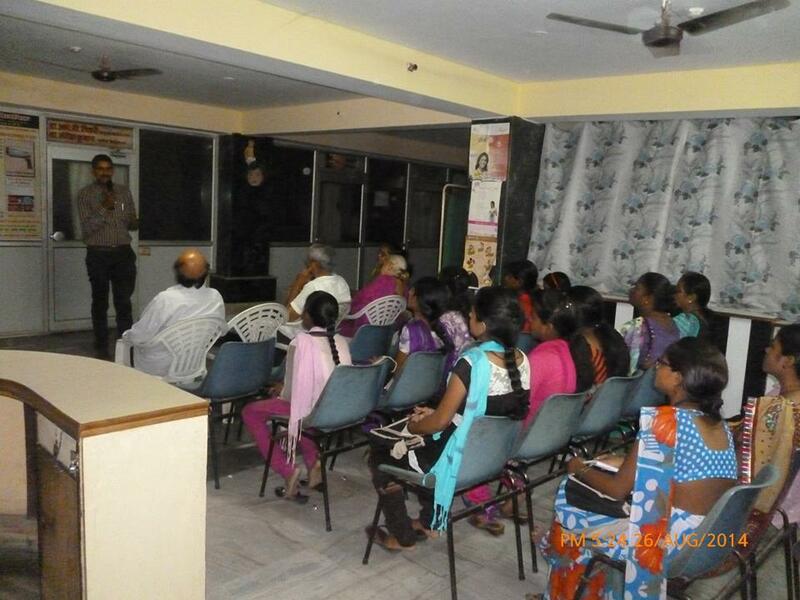 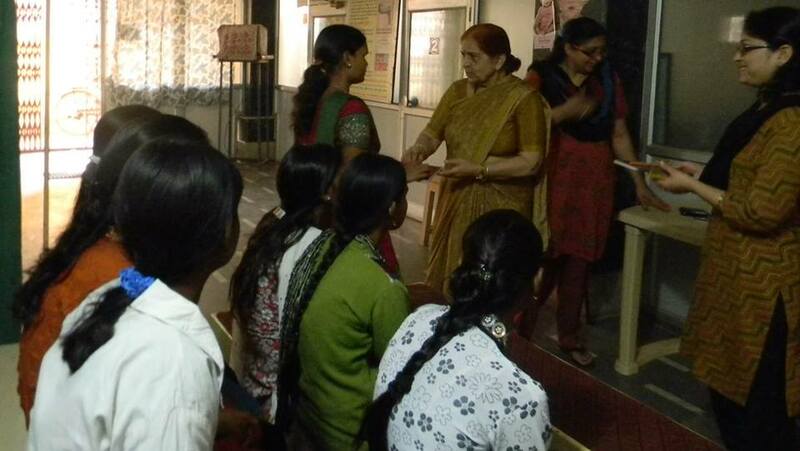 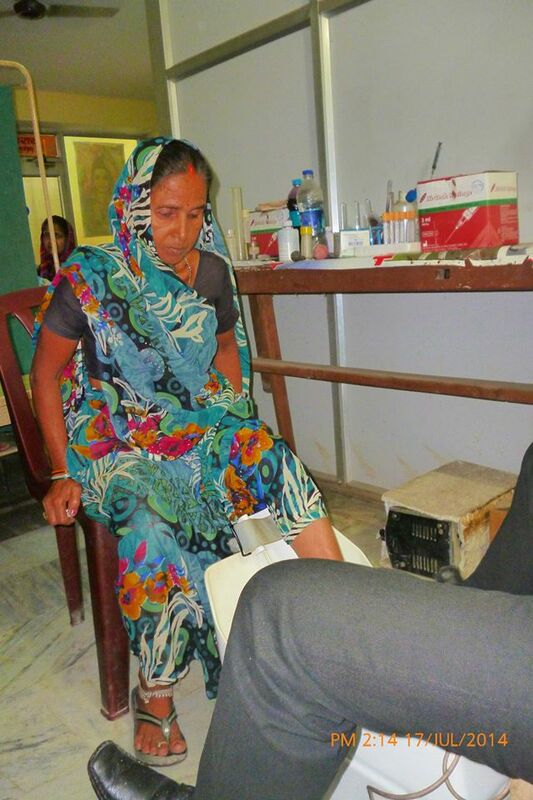 Ladies of JP Nagar slum were screened for various cervical lesions - PAP smear was taken in the slum. 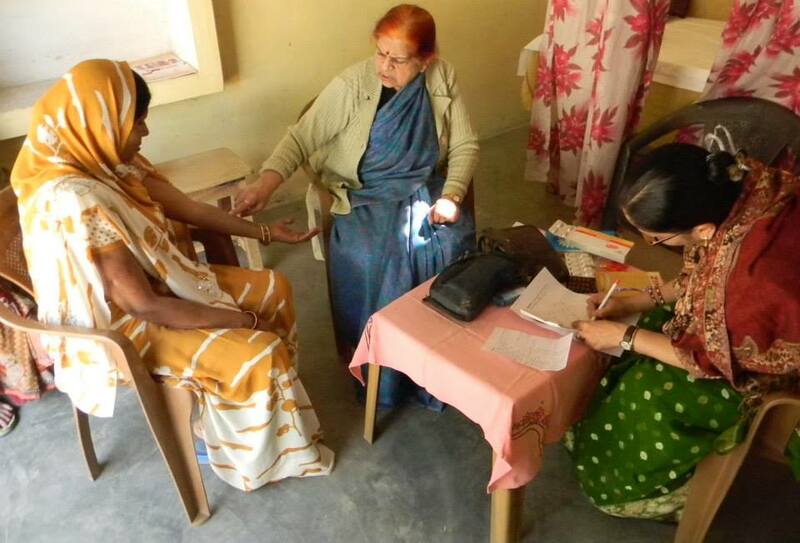 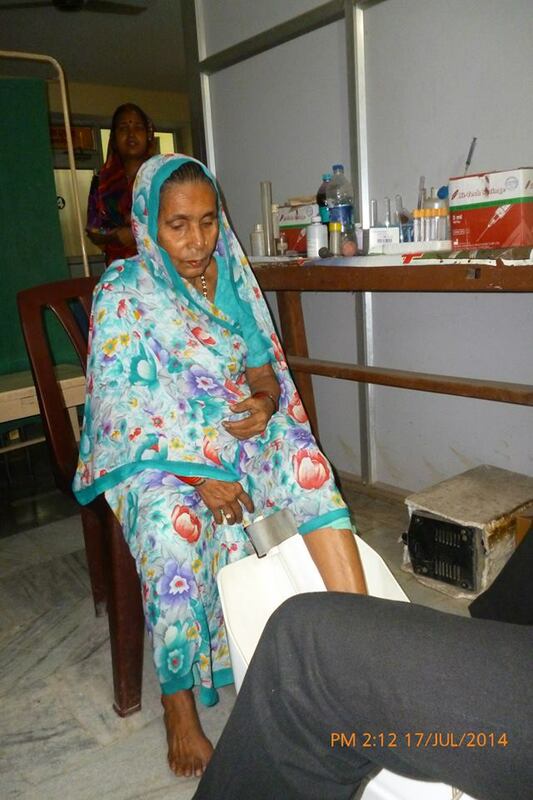 Four were found with pathology who were brought to the centre and free Colposcopy was done. 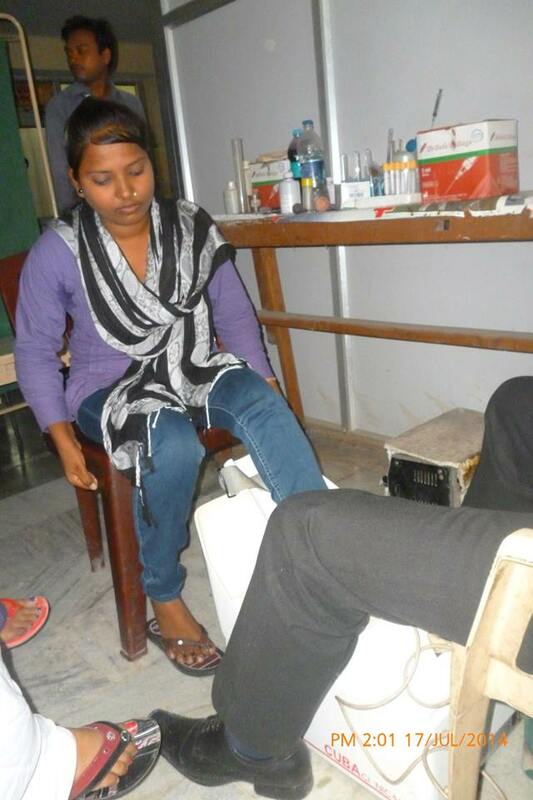 After that treatment was given to each one. 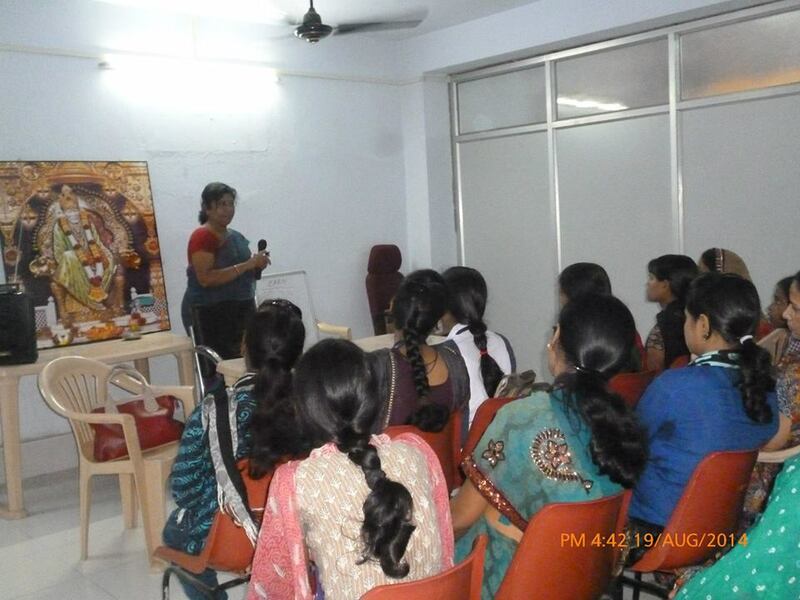 A class on infection tuberculosis commonly known as TB was taken by Dr. Shweta Tiwari and Dr. Mangesh Kumar for our volunteers and slum women. 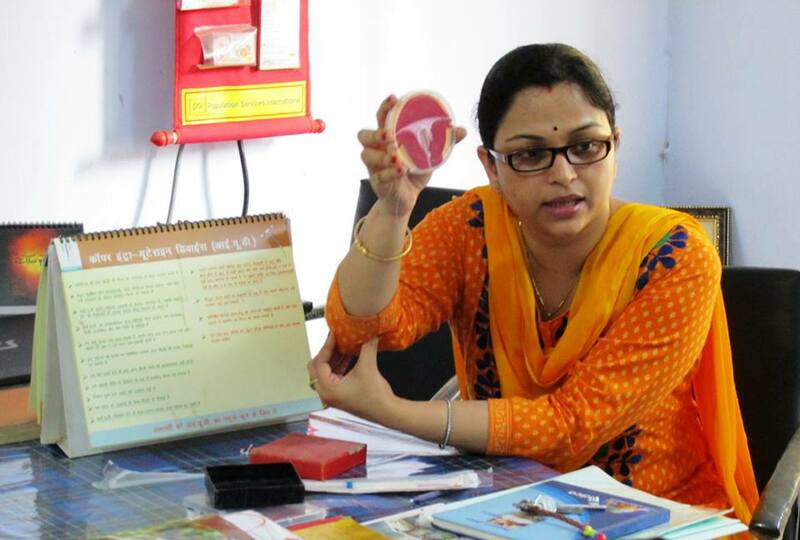 What is this infection, how it is acquired, what all organs are infected, what prevention should be taken once a person contracts this and what is the importance of its proper treatment were discussed. 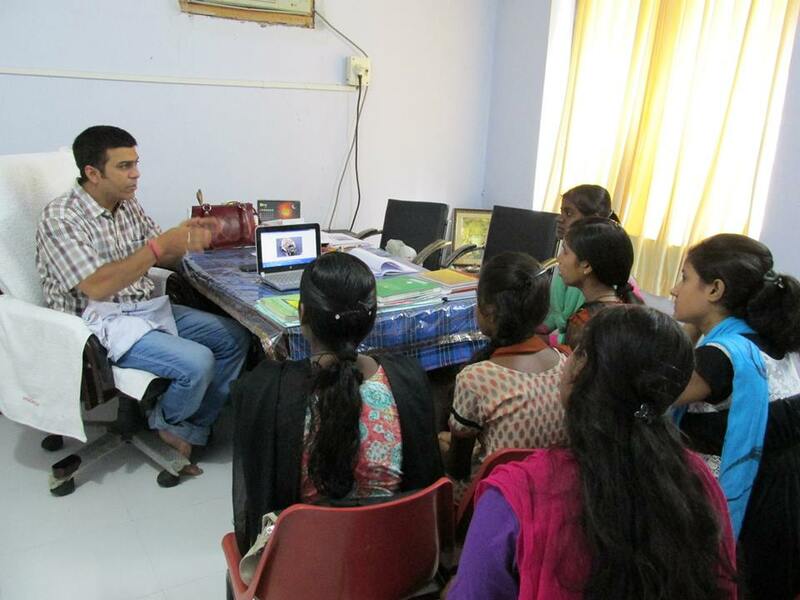 Main emphasis was given on DOT’s program and how one can get benefited from this program. 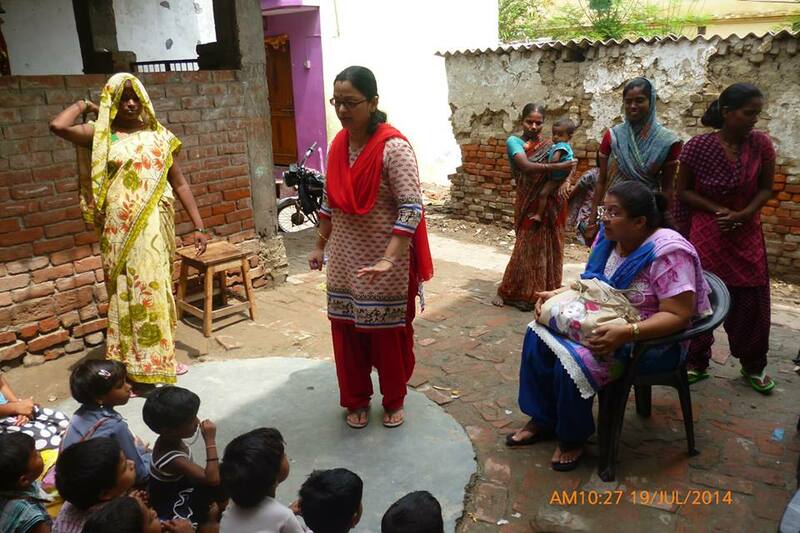 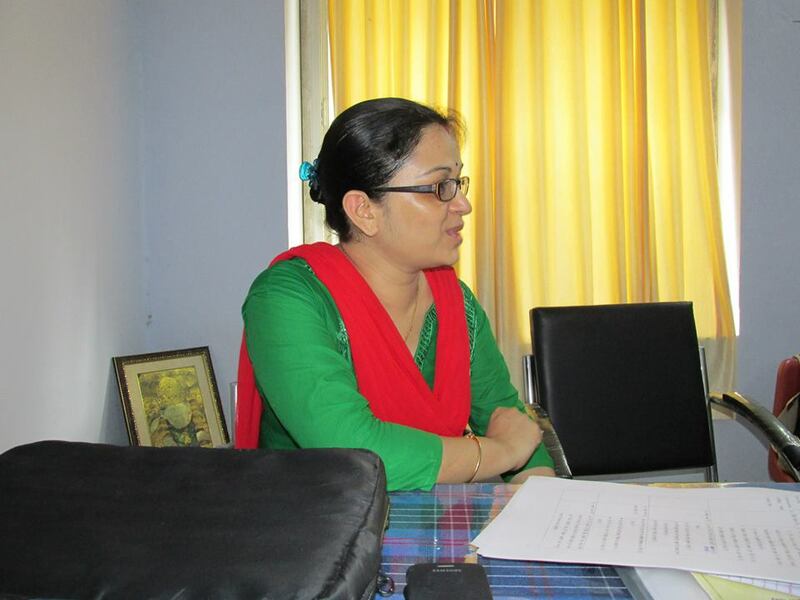 National child immunization schedule was told by our CHW Ms. Madhuri. 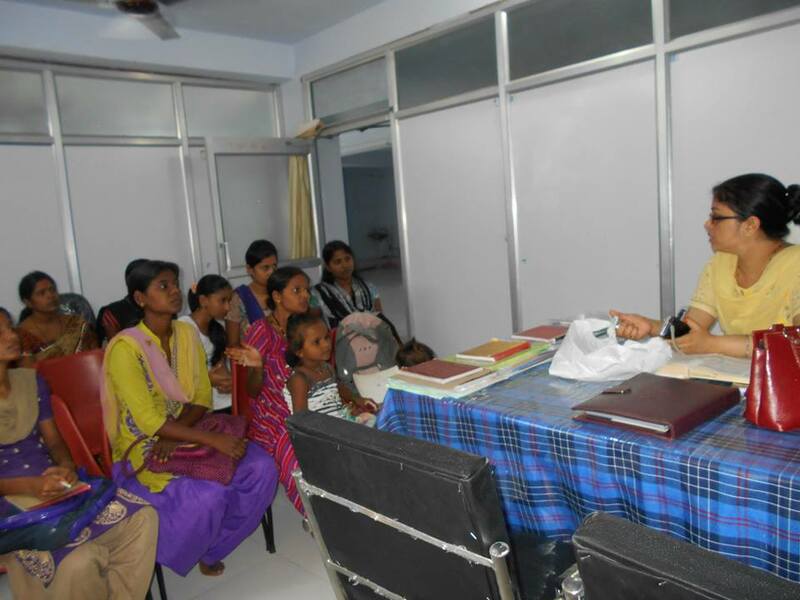 Importance of child immunization at correct time was discussed. 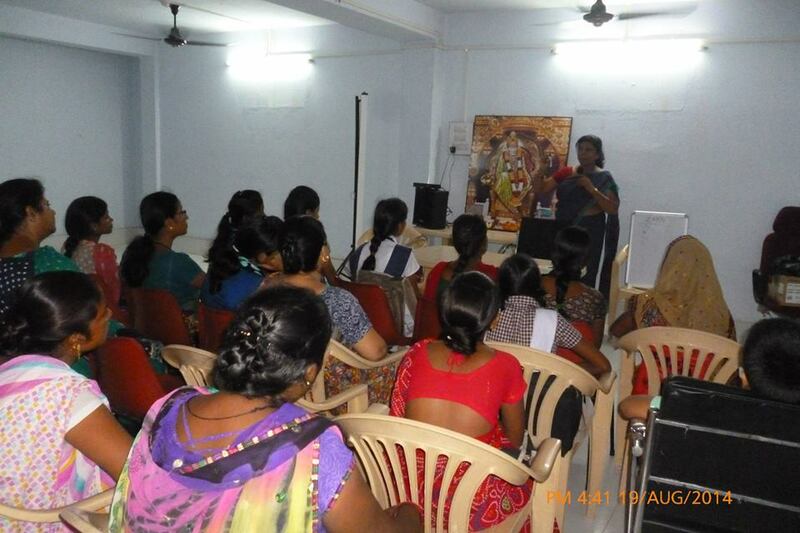 They were also told about myths and misconception about vaccines. 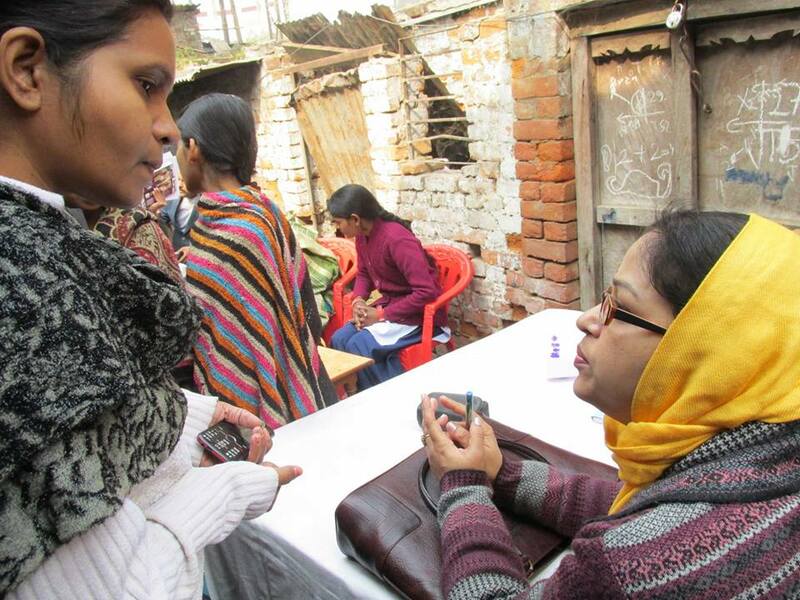 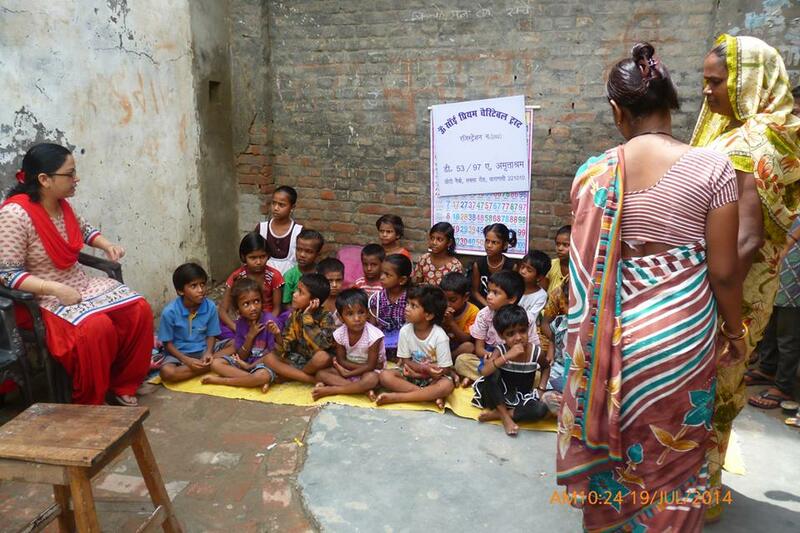 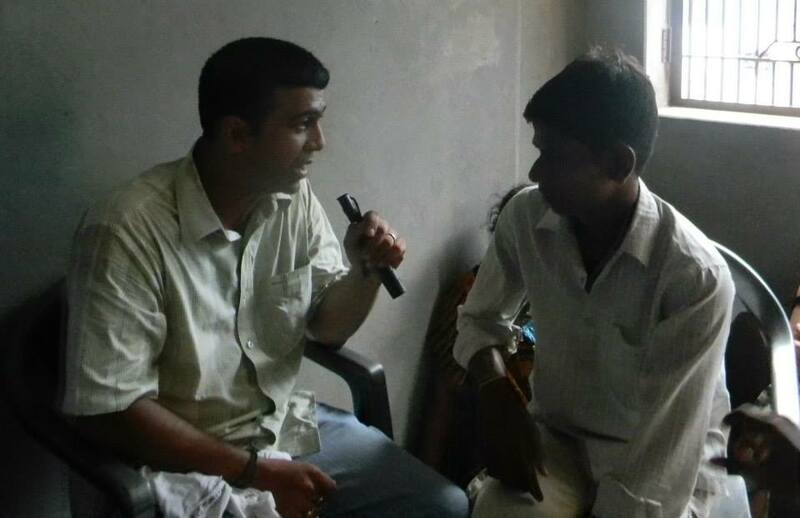 In this way we educated the slum dwellers about the importance of vaccination. 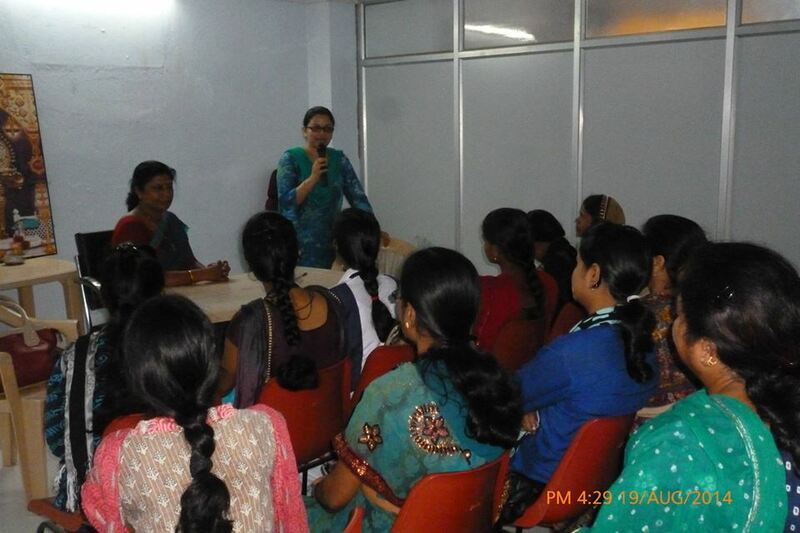 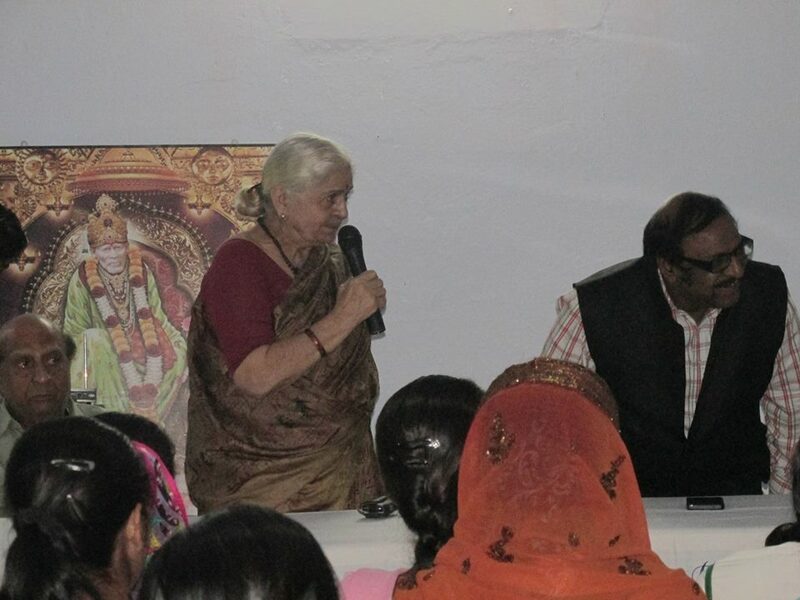 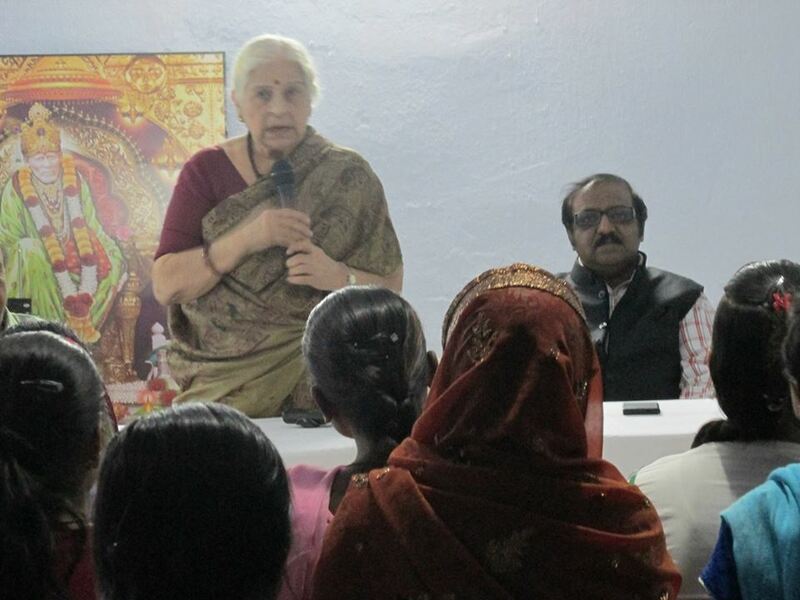 Lecture on role of proper nutrition for healthy life style was given by Dr.Rashmi Singh Food Scientist. 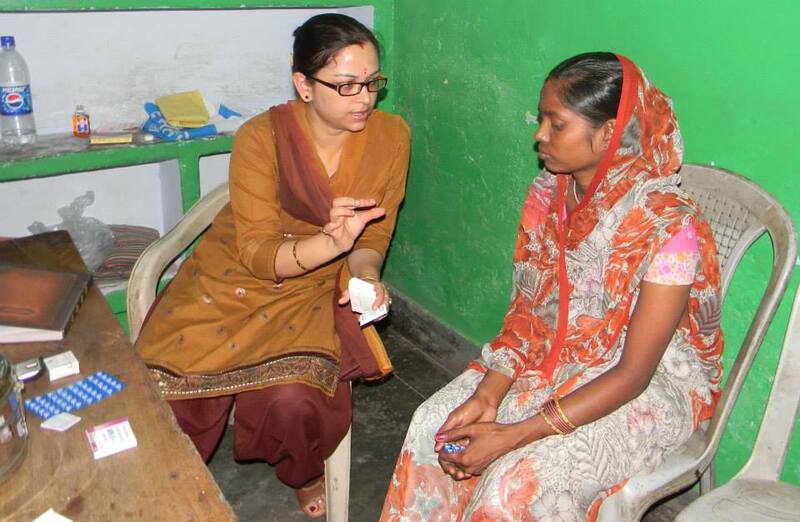 Her main objective was "We have to EARN health".E - exercise,A - attitude,R - rest and N - nutrition. 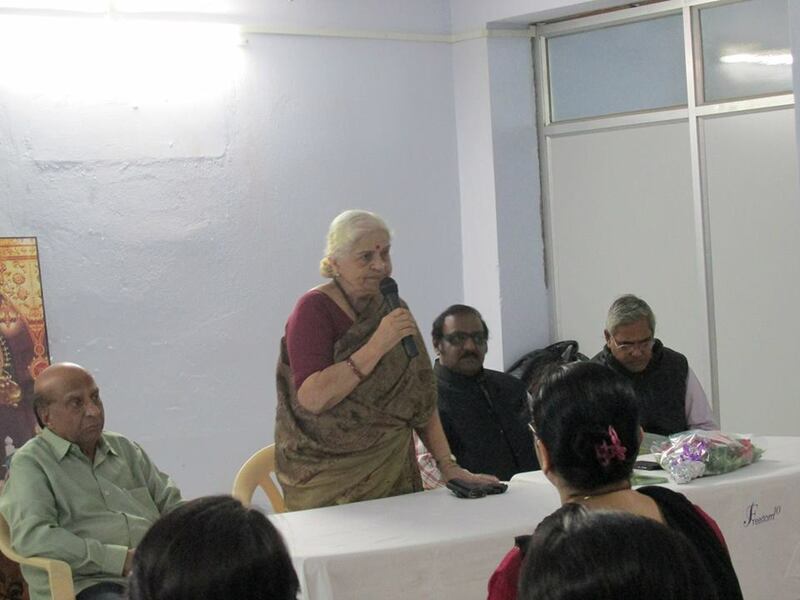 She also gave emphasis on nutritious value of low cost food. 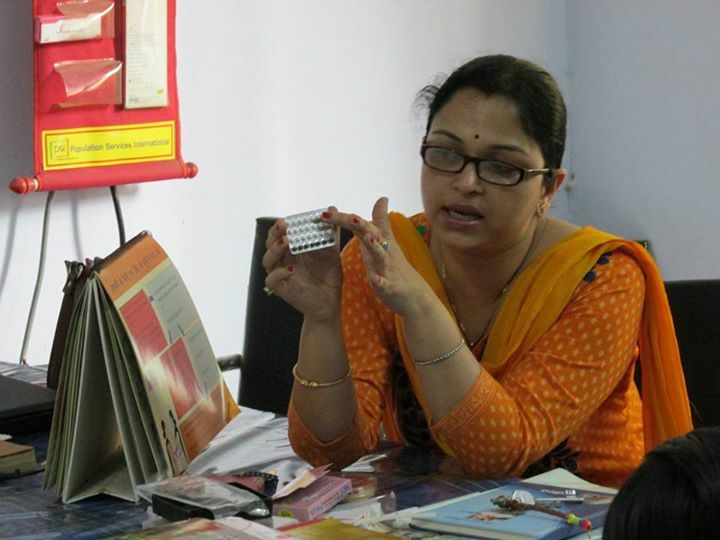 A class on HIV and AIDS was taken by Dr.Shweta Tiwari. 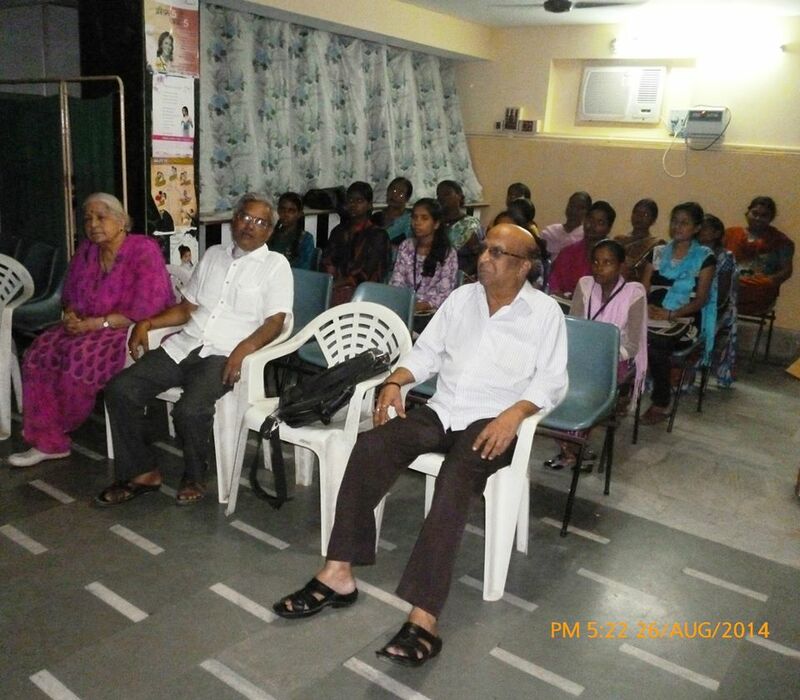 She talked about how one gets this infection,the preventive measures,post exposure prophylaxis and treatment. 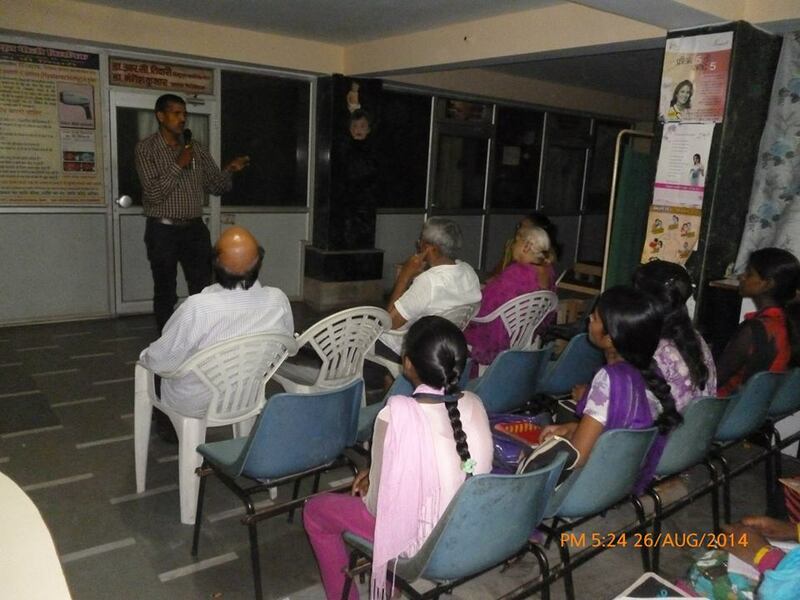 A lecture on preventive aspects of various diseases by home made remedies was given by Vaidya Shri Sushil Kumar Dubey Ji working as associate prof. in Govt Ayurvedic College, Sampurnanand Sanskrit University, Varanasi. 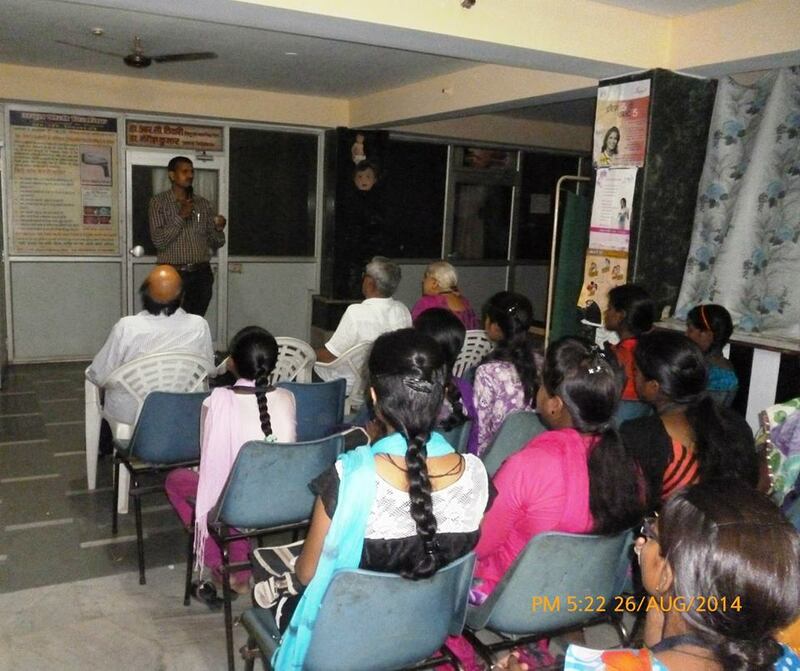 He talked about how to prevent common diseases for eg. 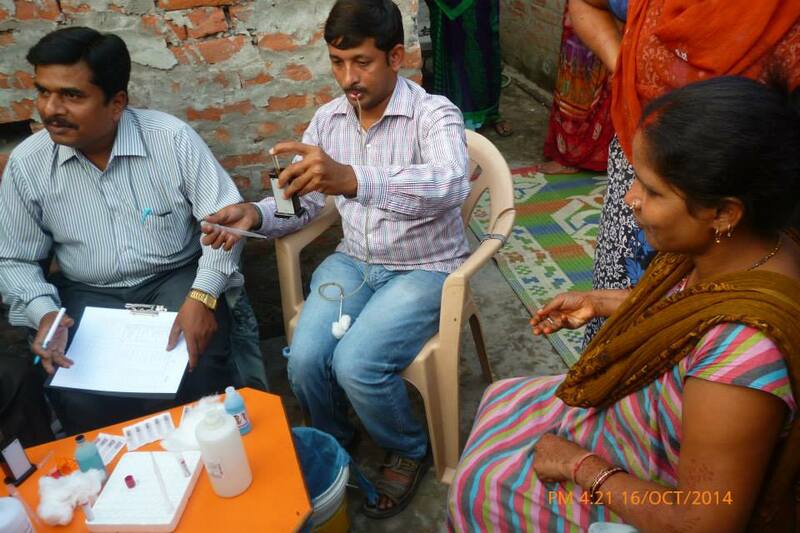 cough,cold ,fever by various daily use household things for example Haldi, Jeera, Kalimirich, Ajwine etc. 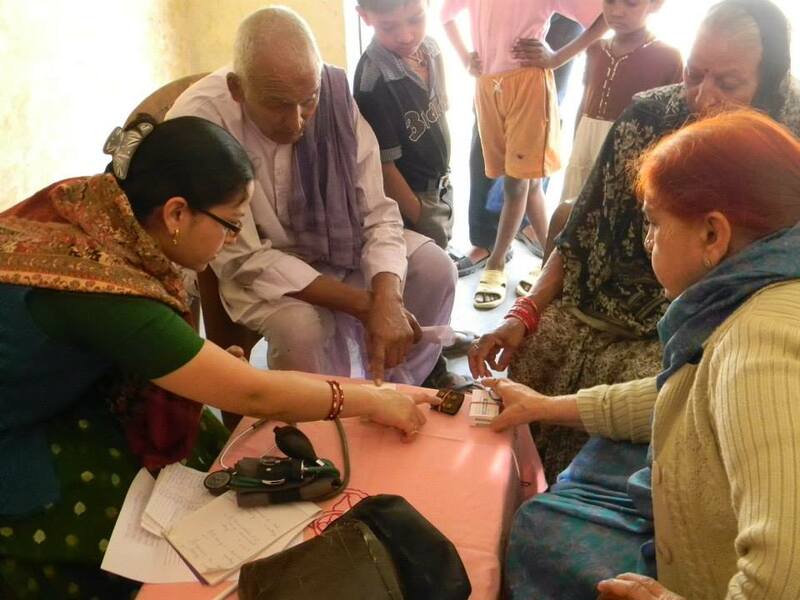 He also told us about the importance of drinking water which has been kept in brass utensil for 24 hrs, this will prevent cancer, skin diseases, controls diabetes and increases haemoglobin. 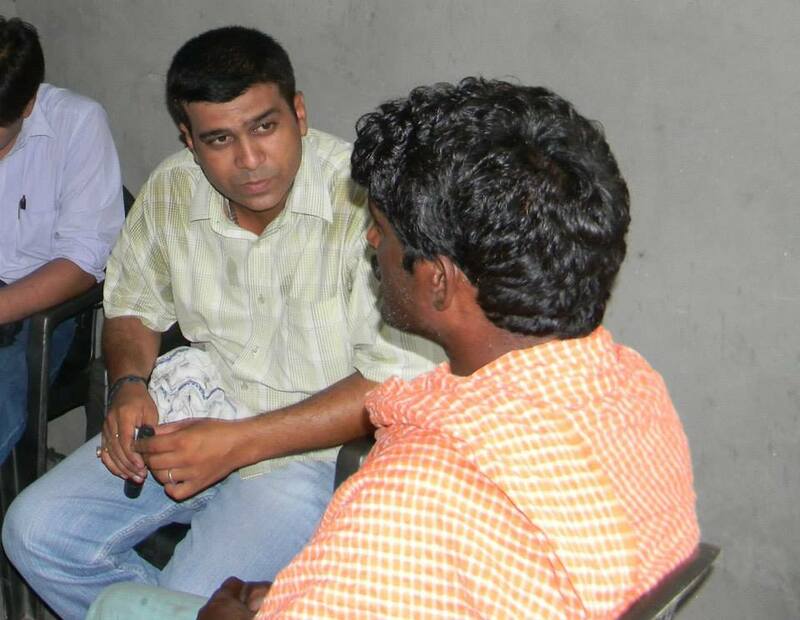 And many more such remedies were told by him in this session.